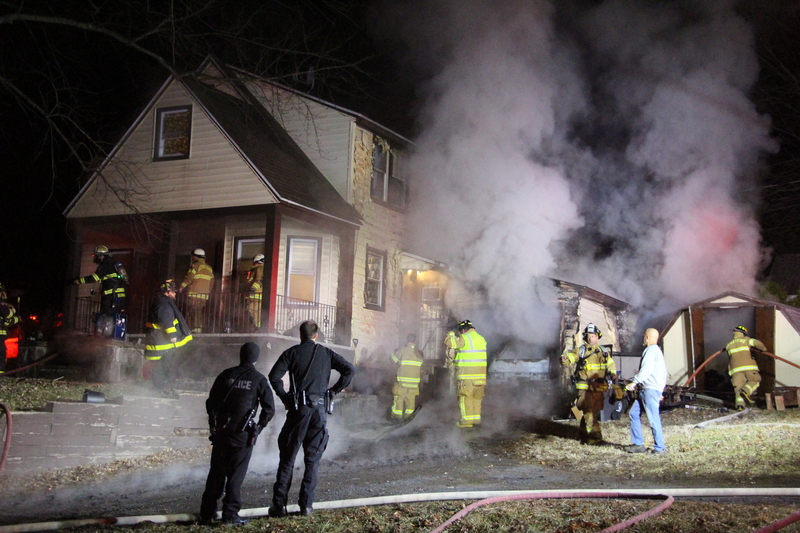 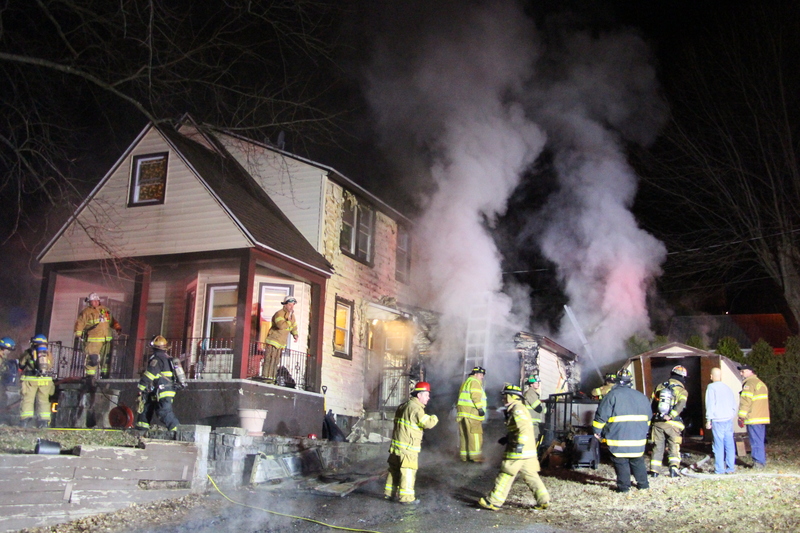 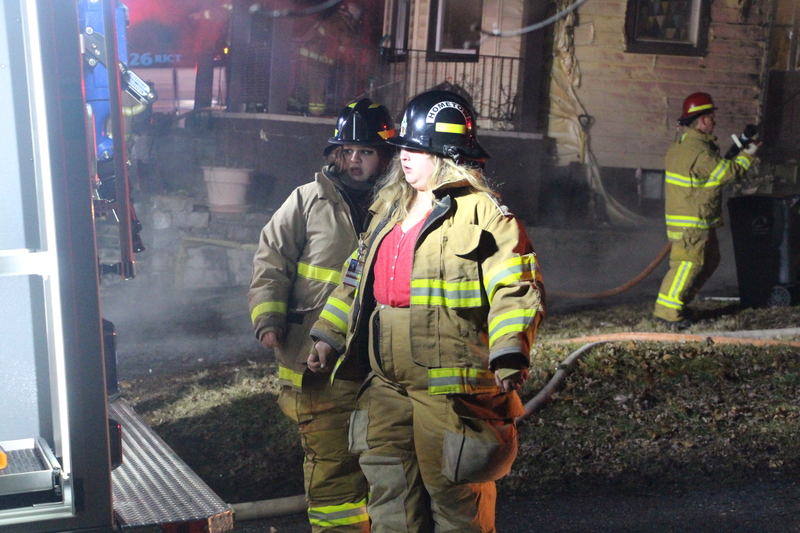 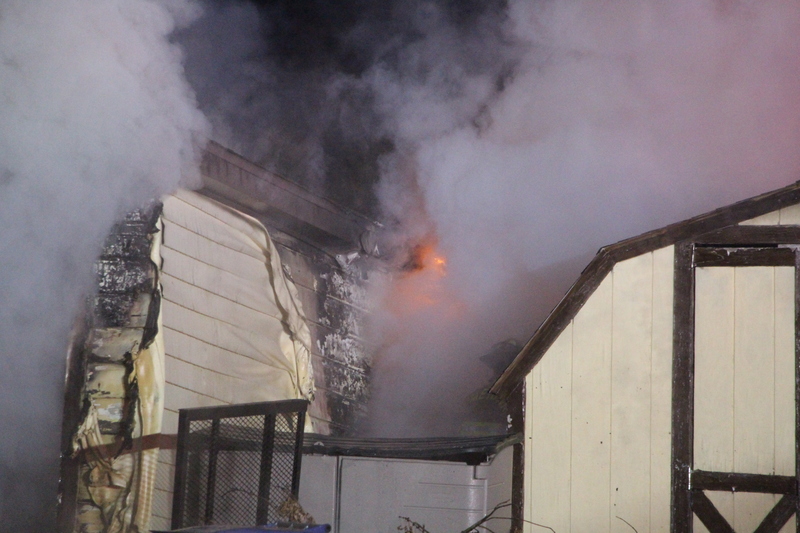 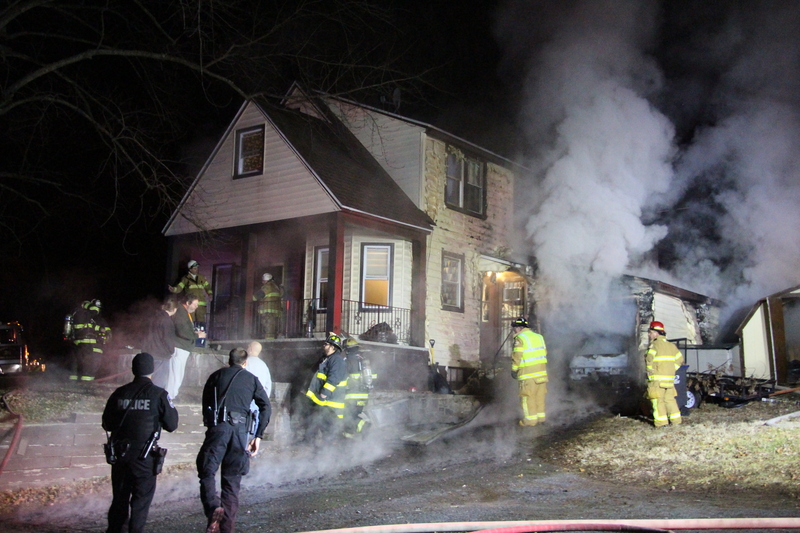 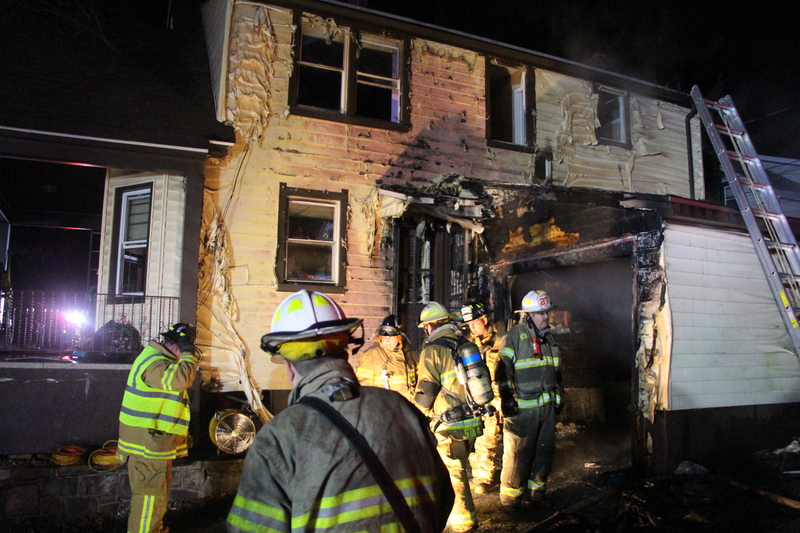 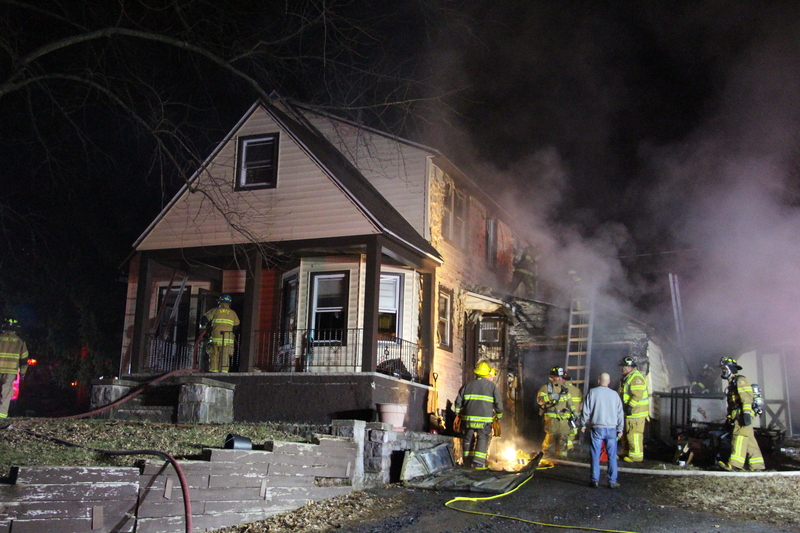 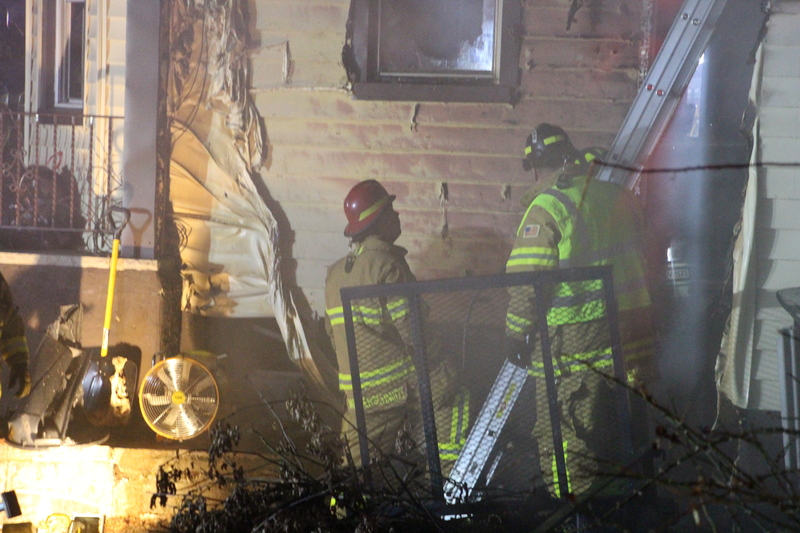 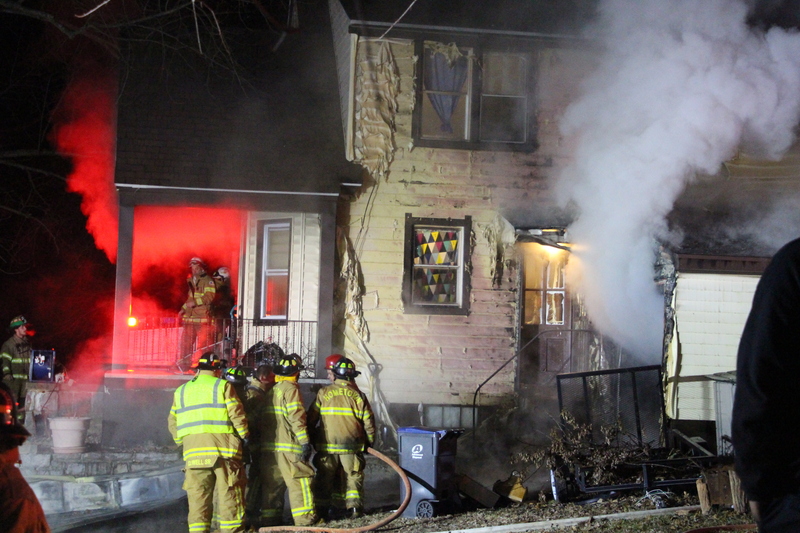 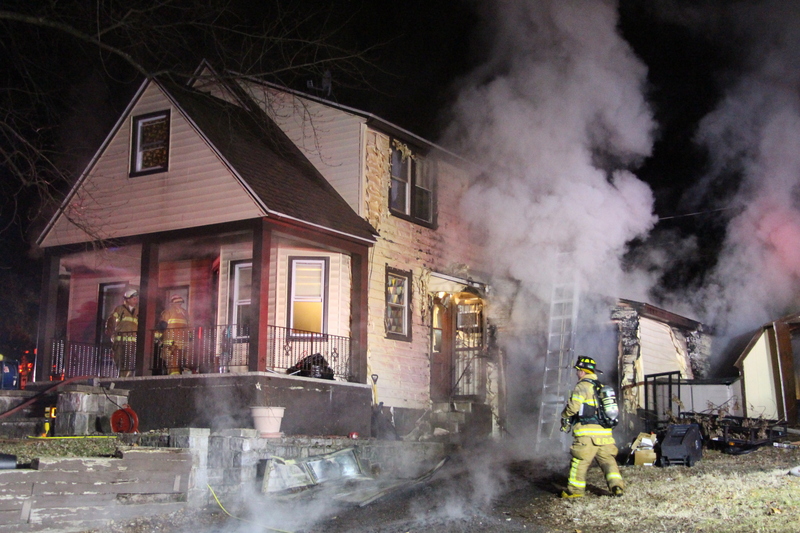 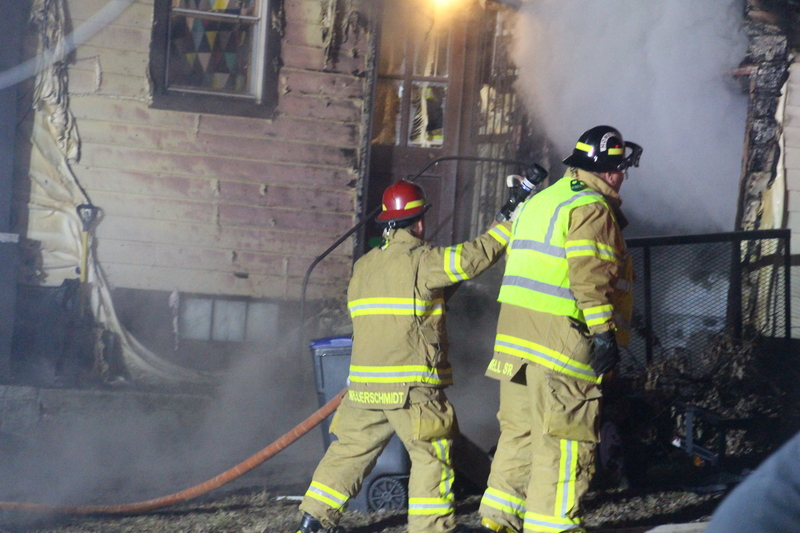 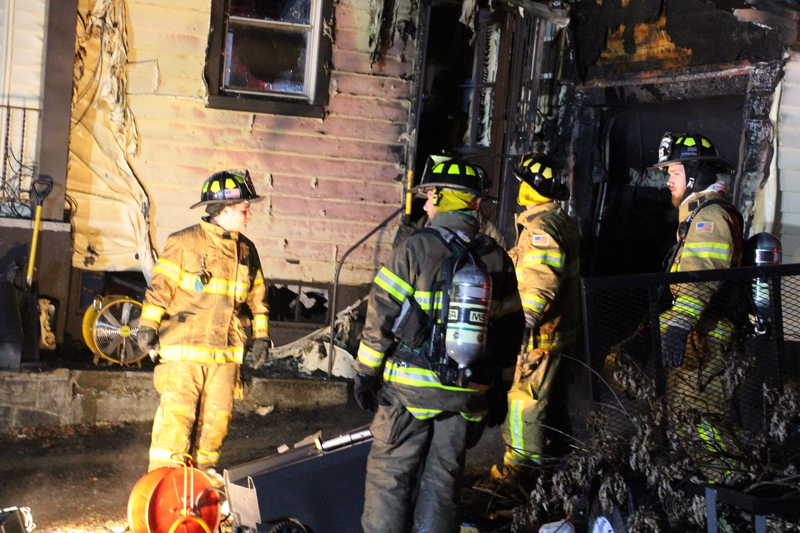 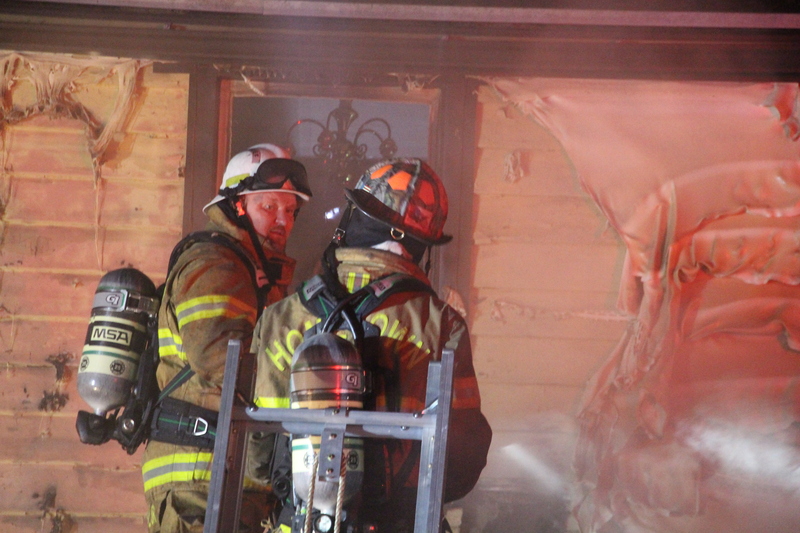 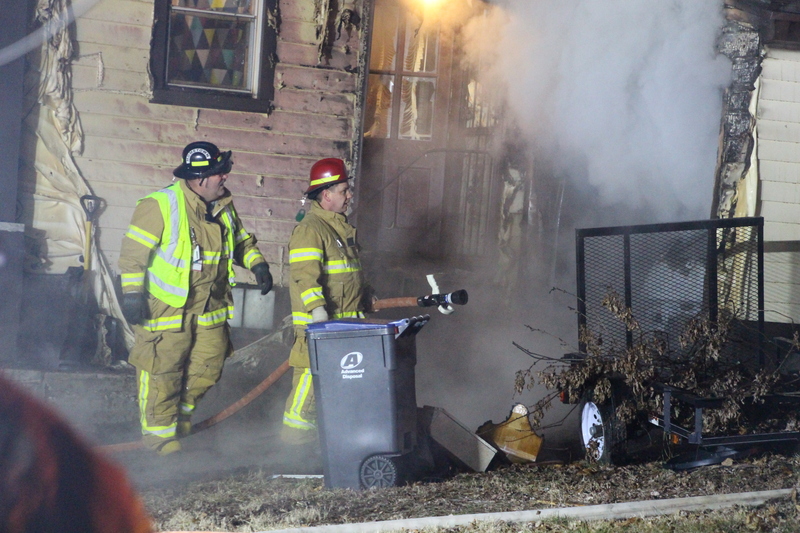 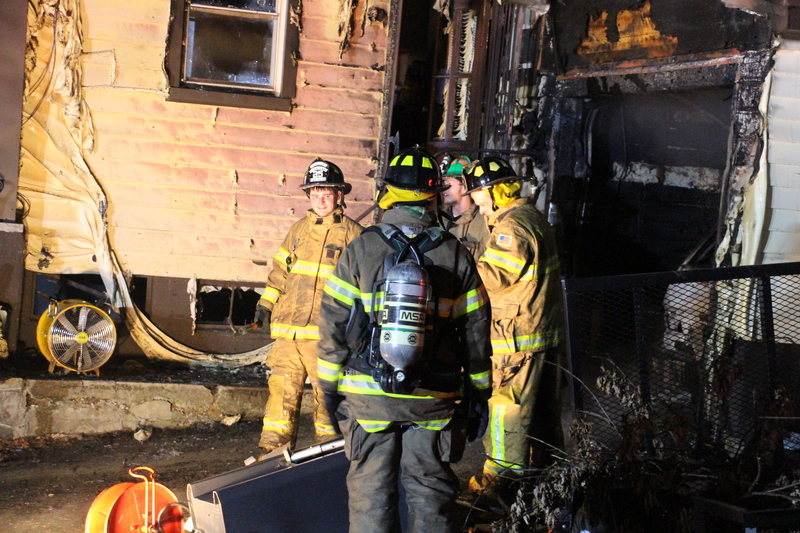 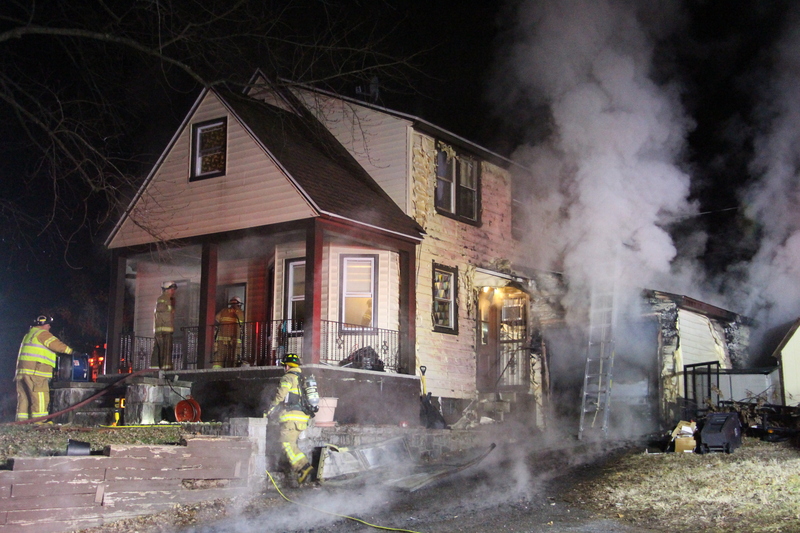 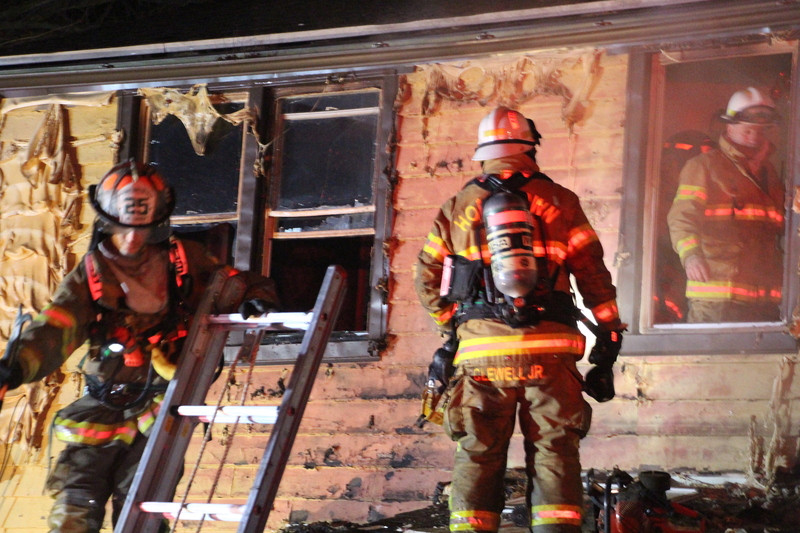 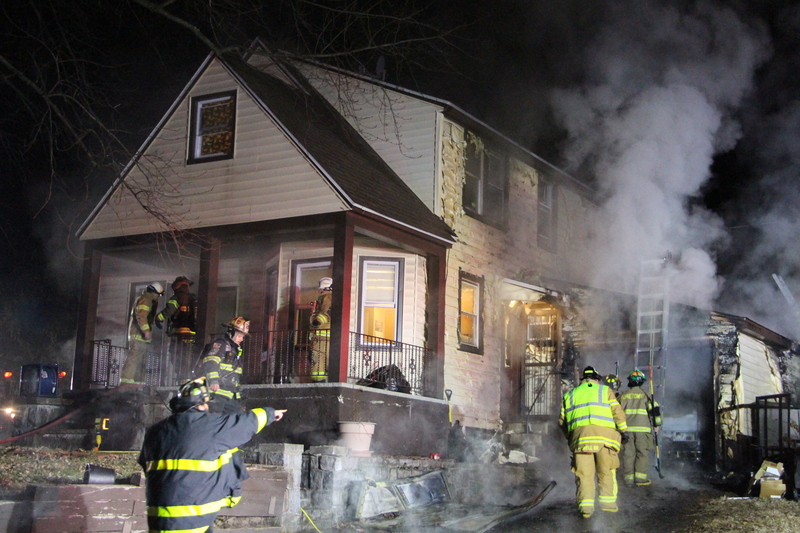 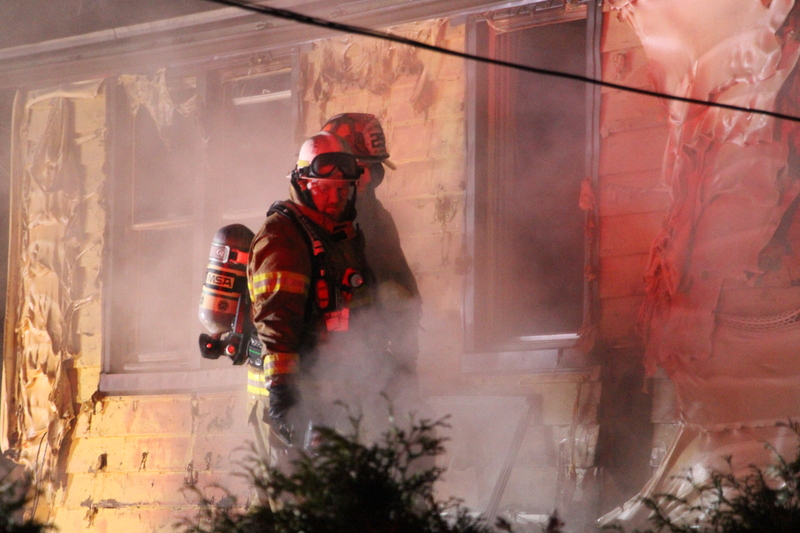 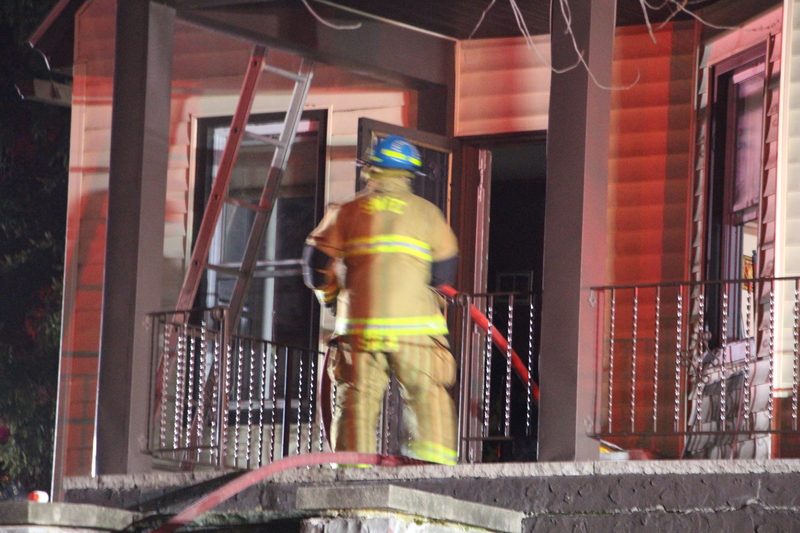 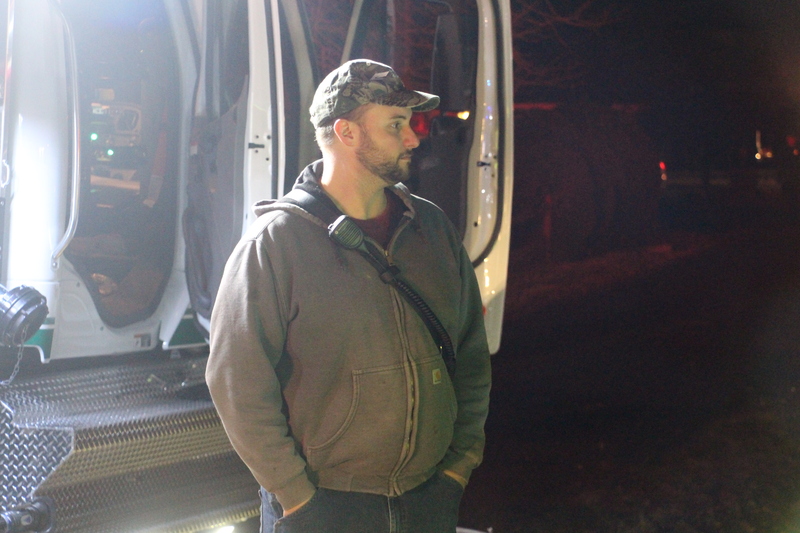 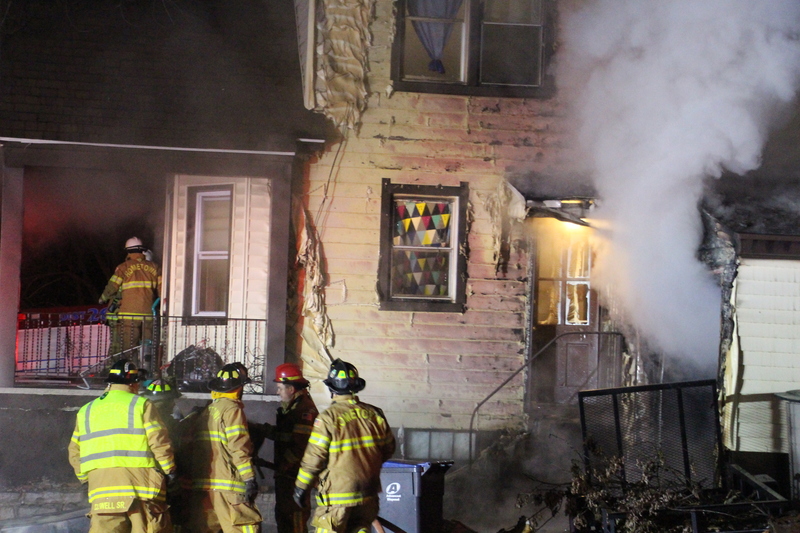 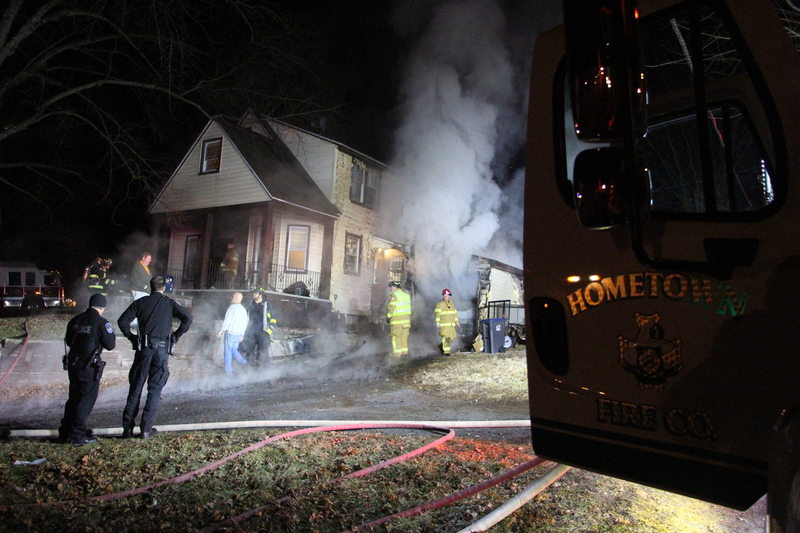 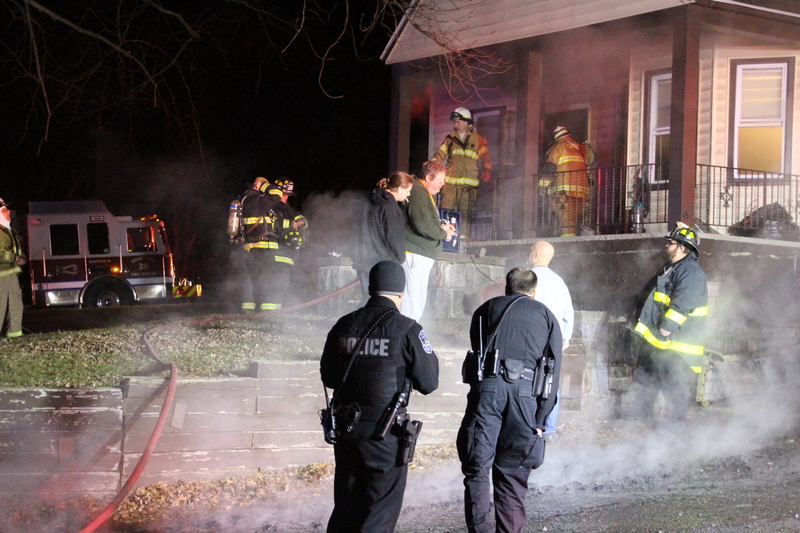 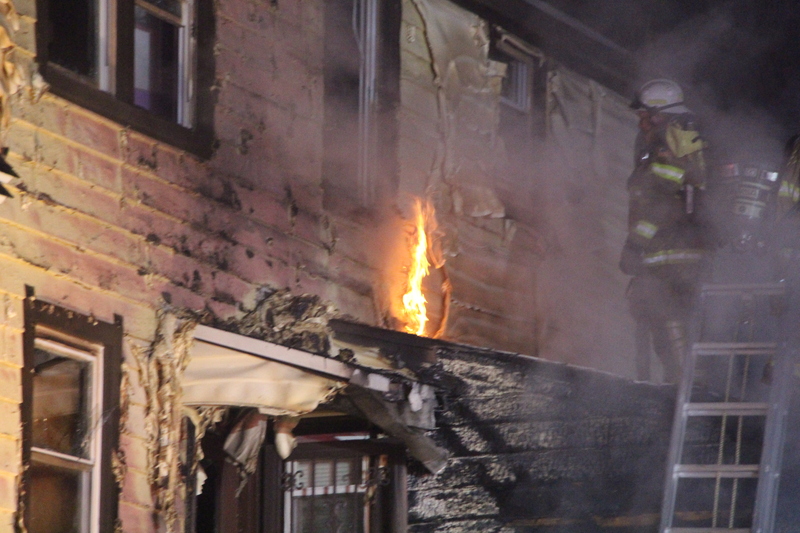 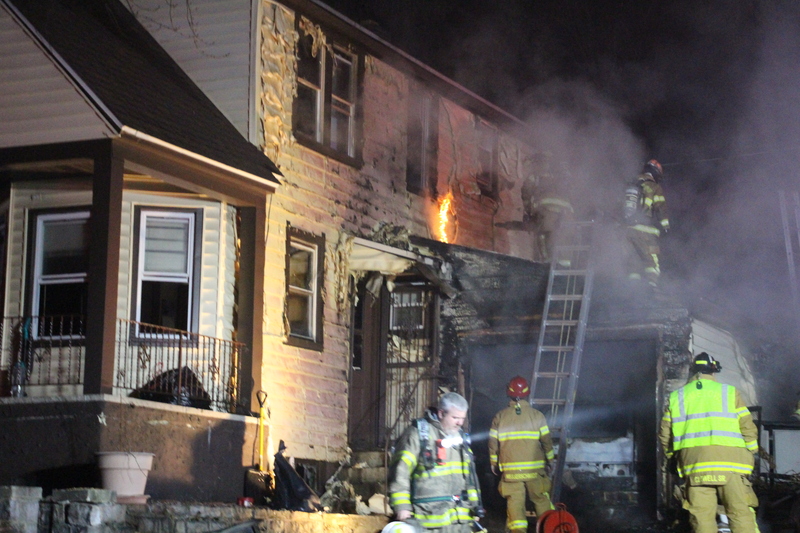 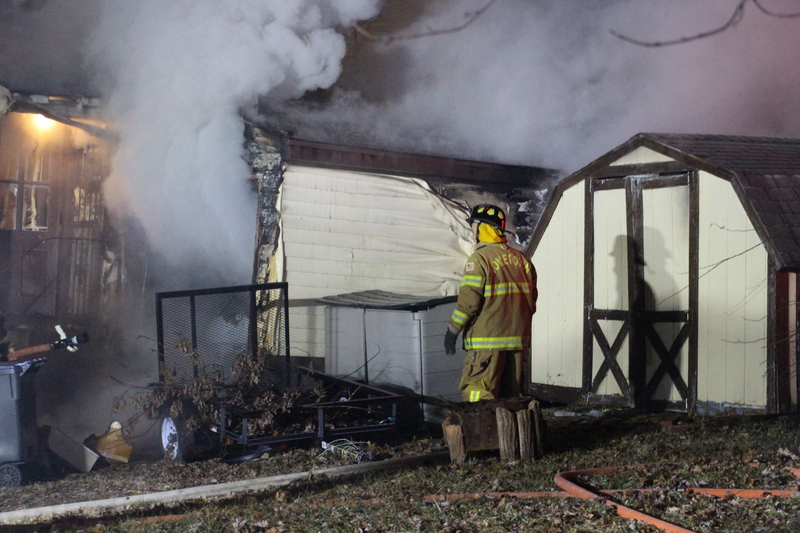 A family of three is temporarily displaced following a fire at their home in Hometown tonight. 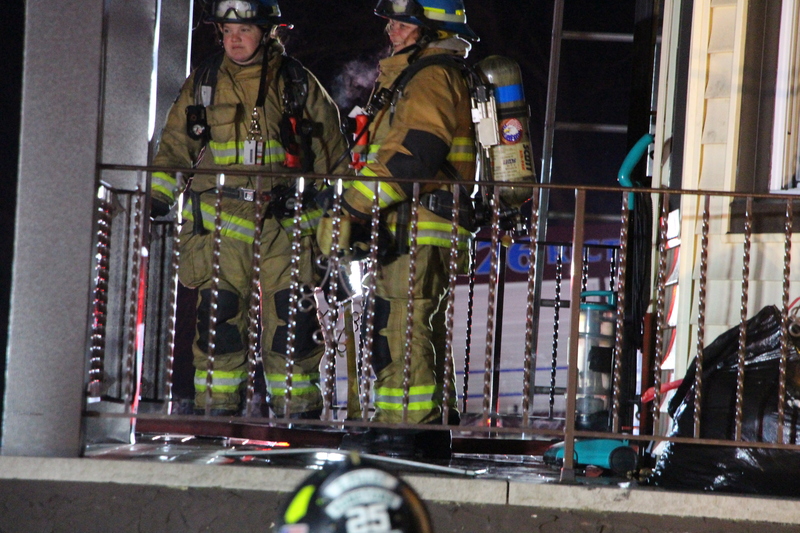 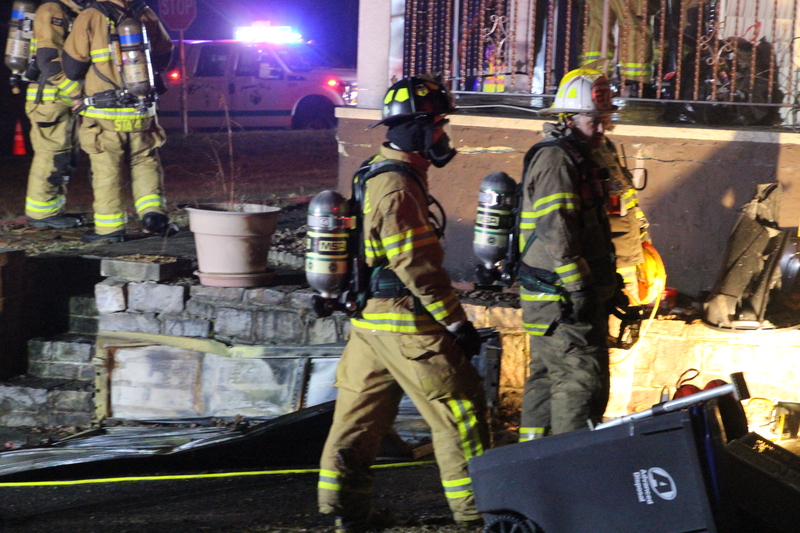 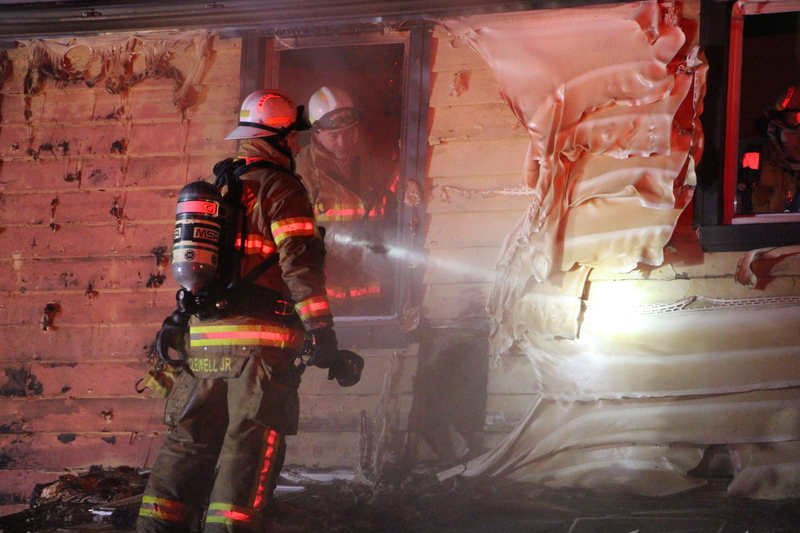 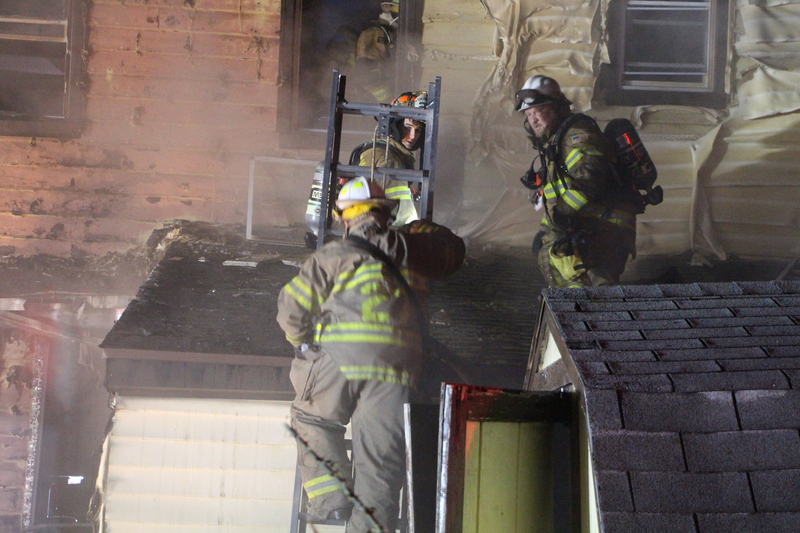 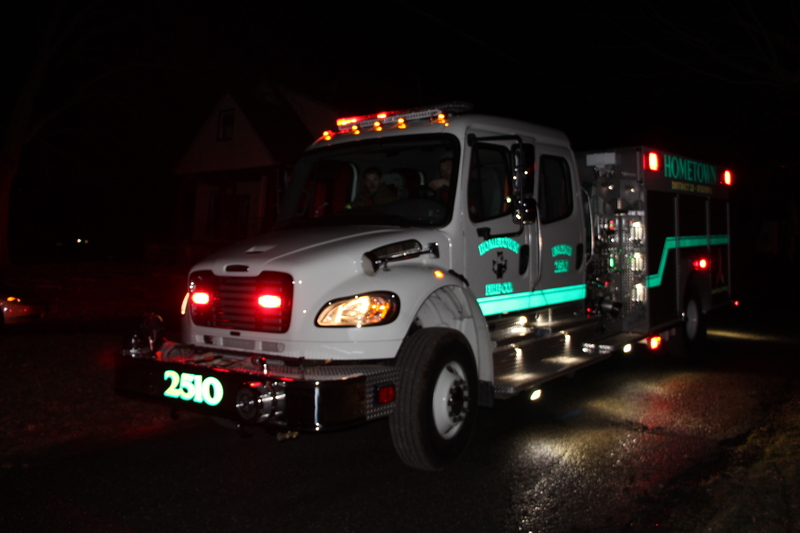 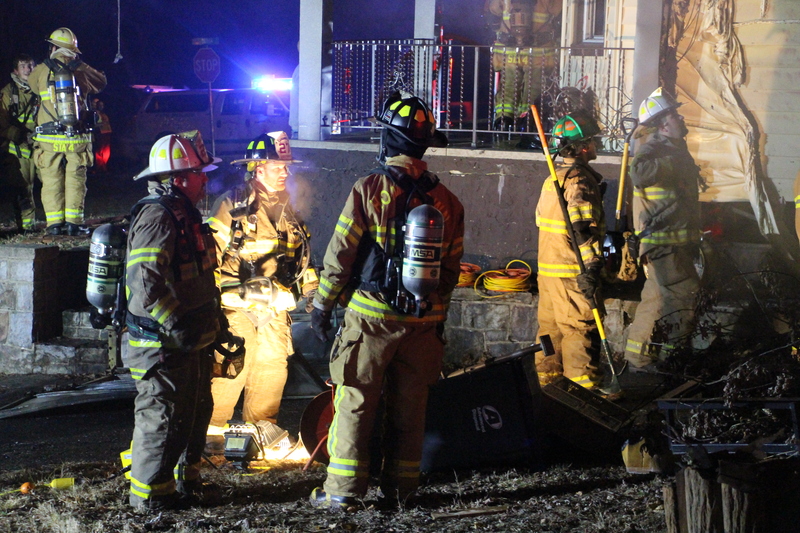 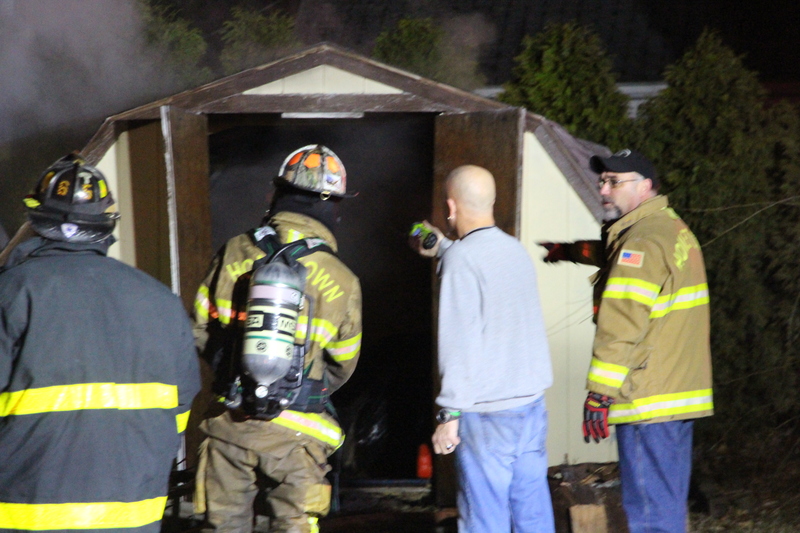 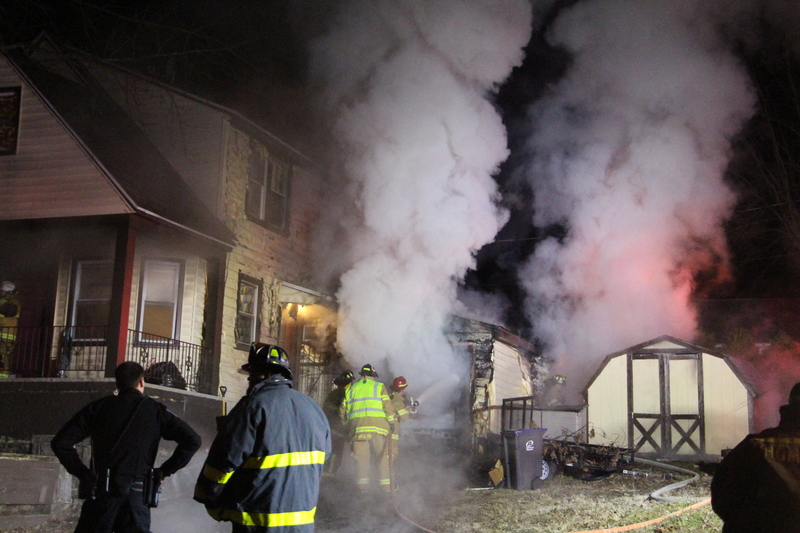 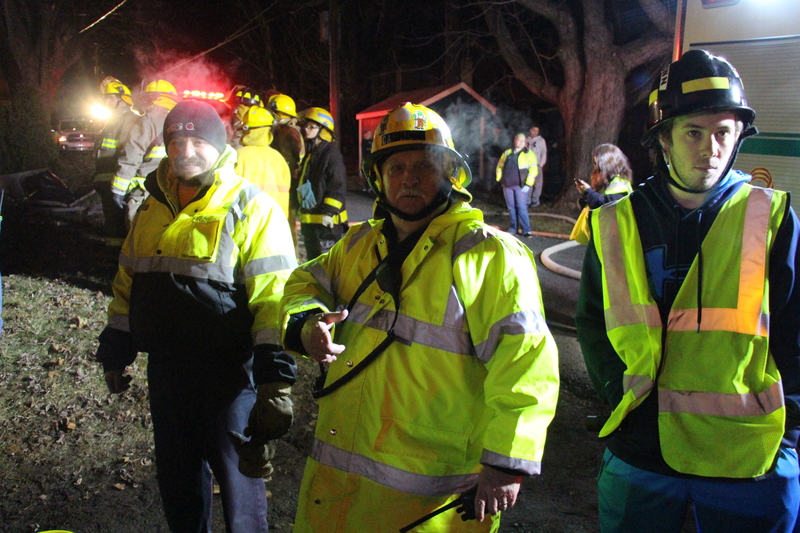 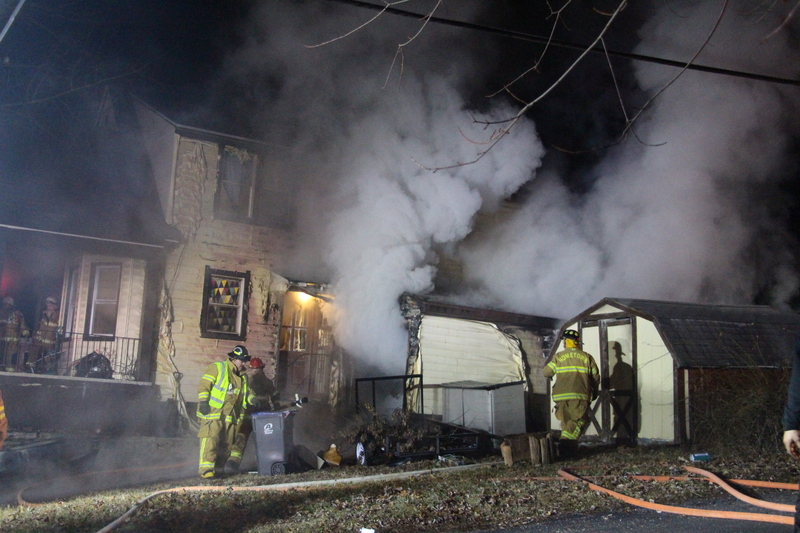 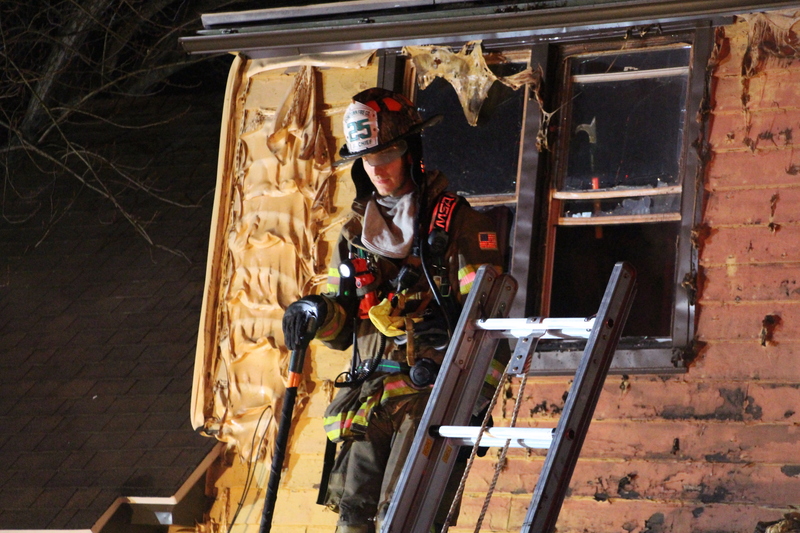 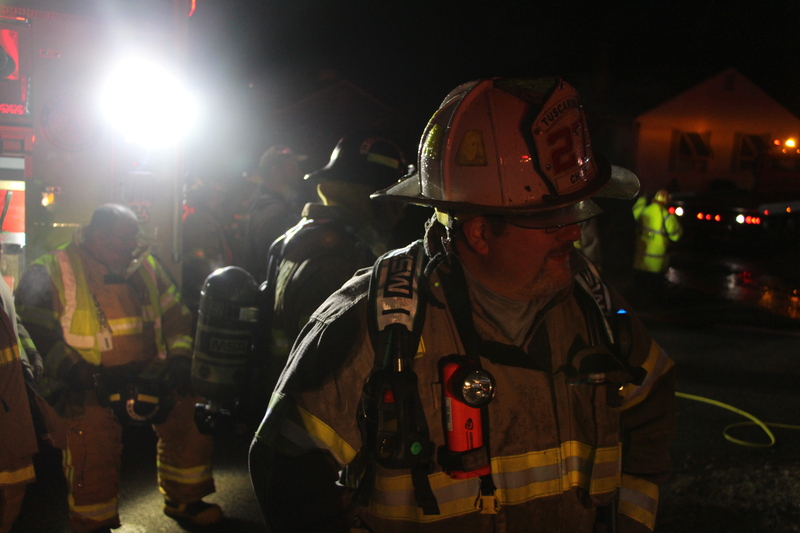 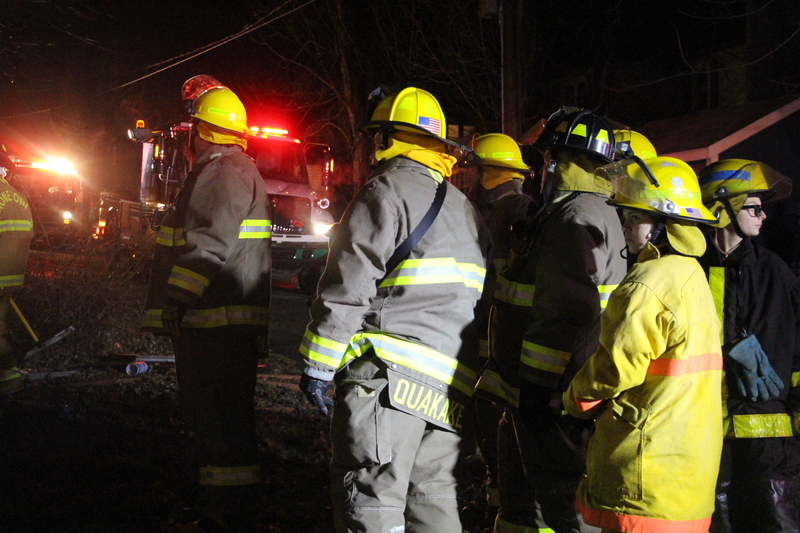 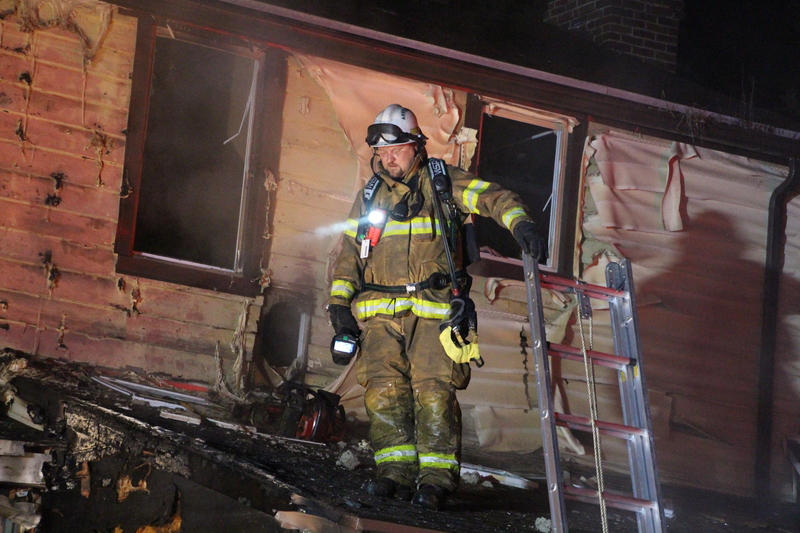 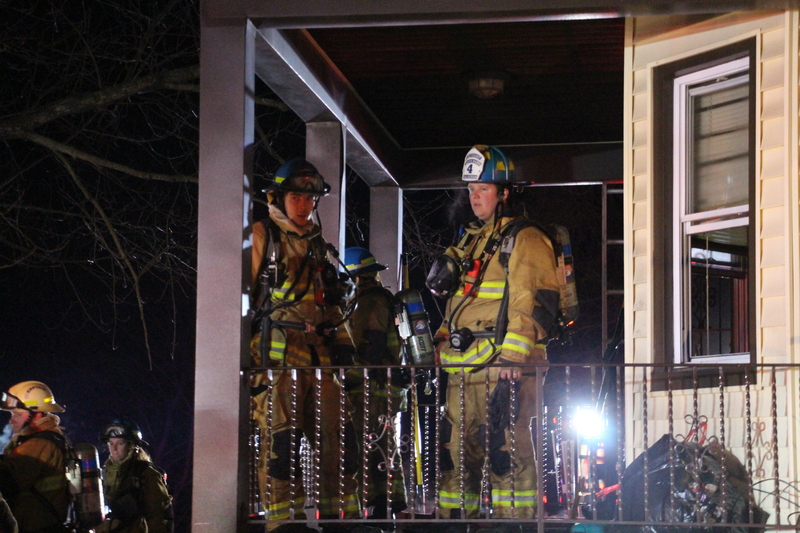 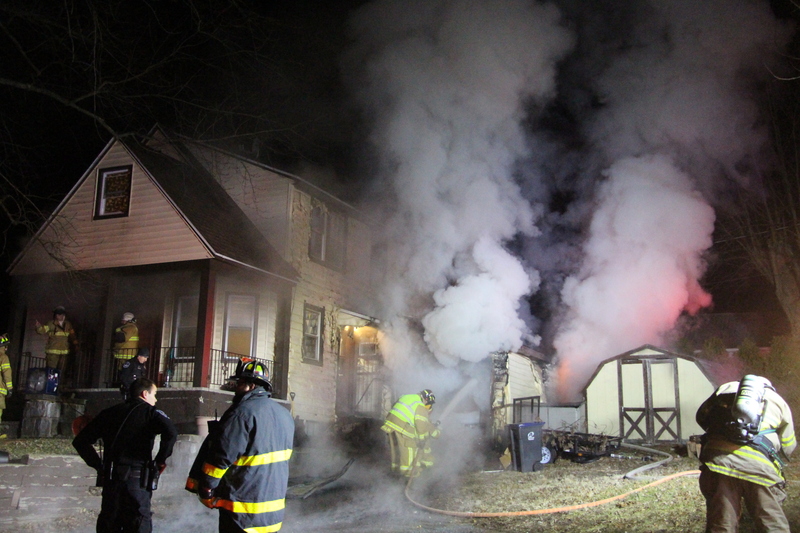 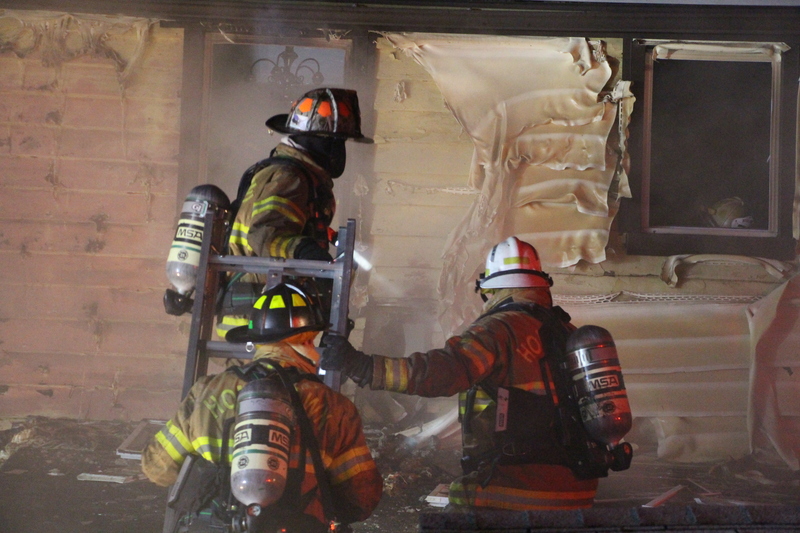 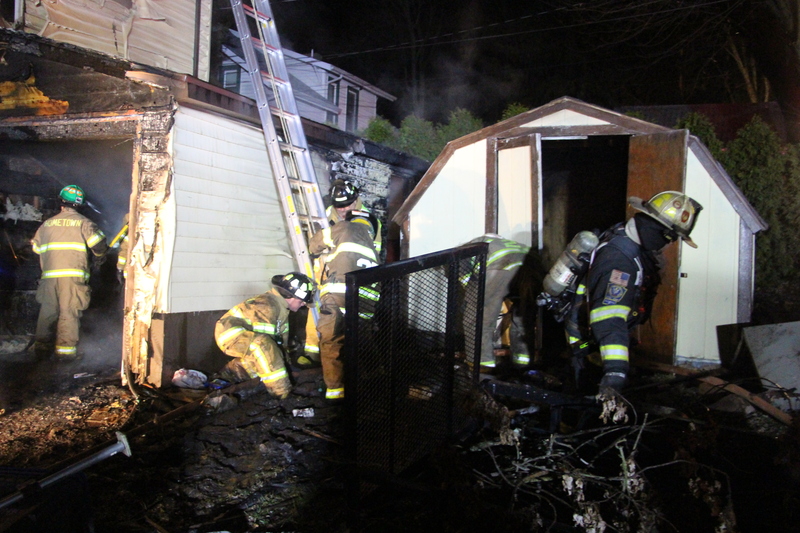 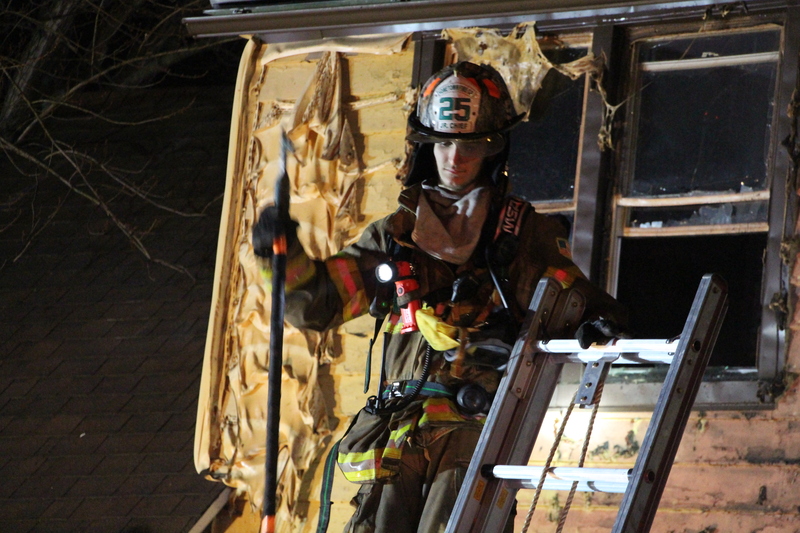 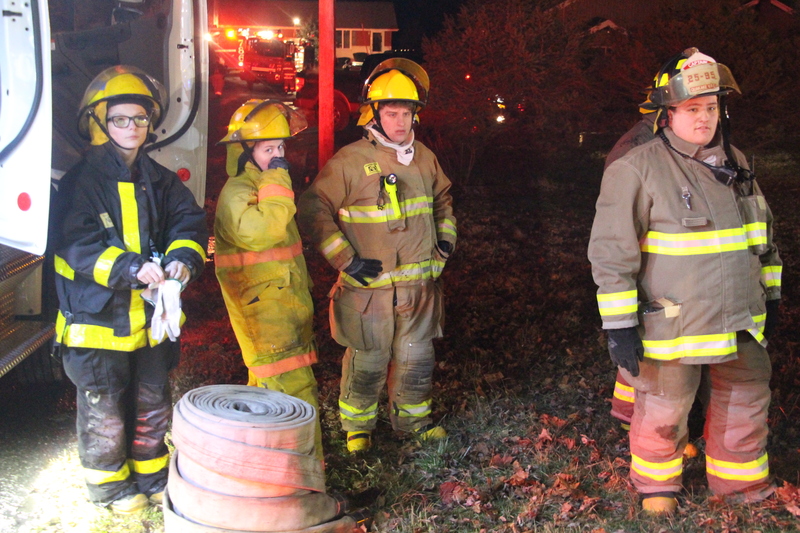 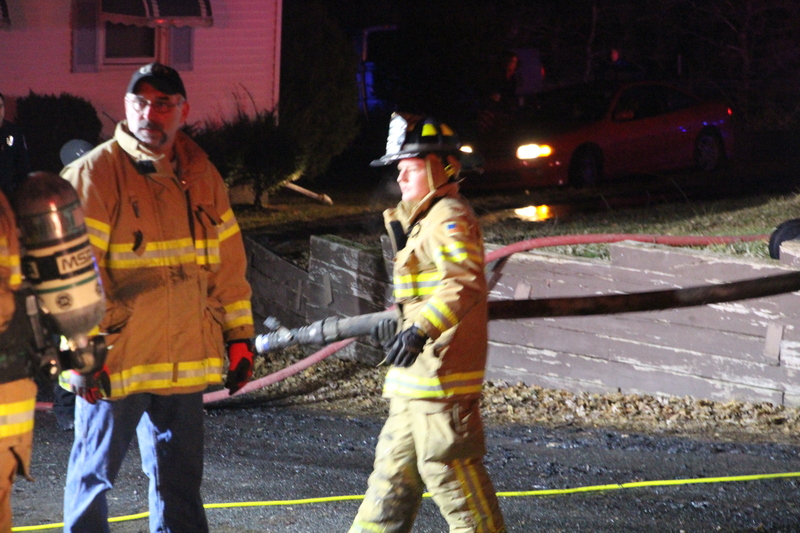 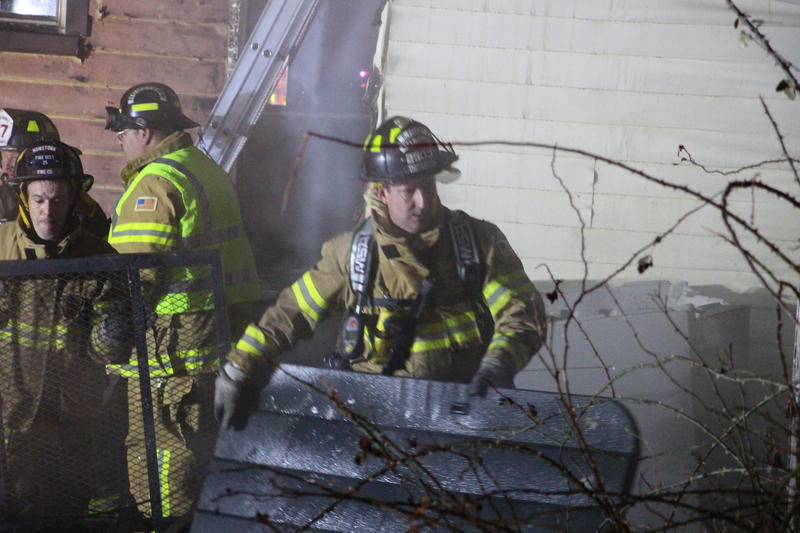 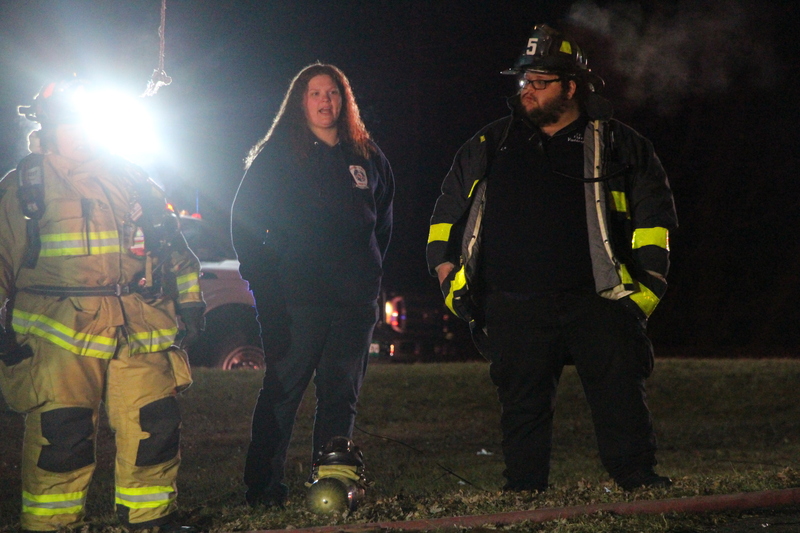 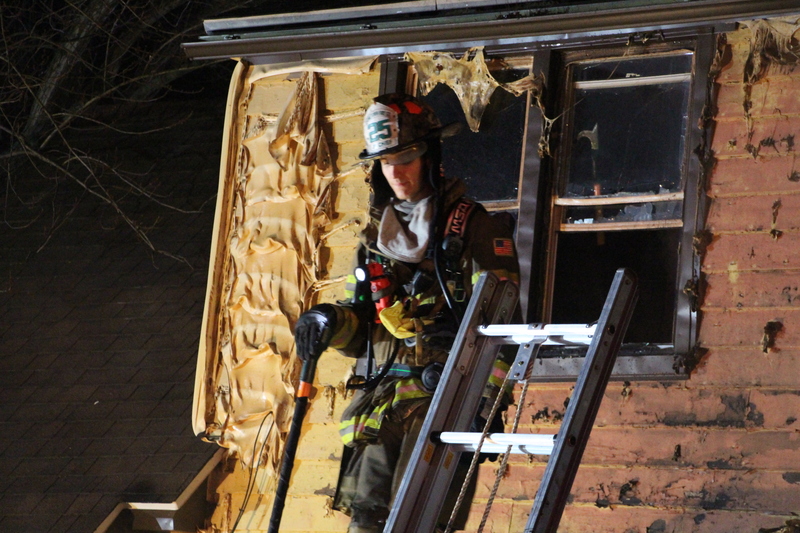 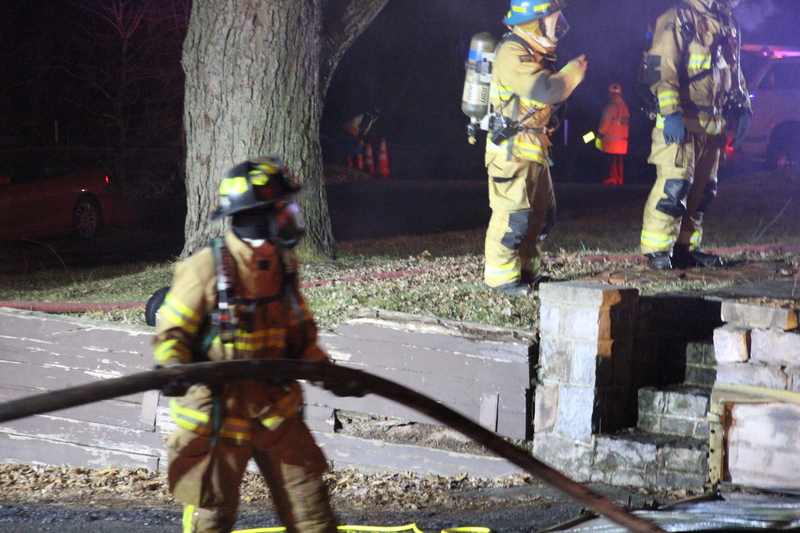 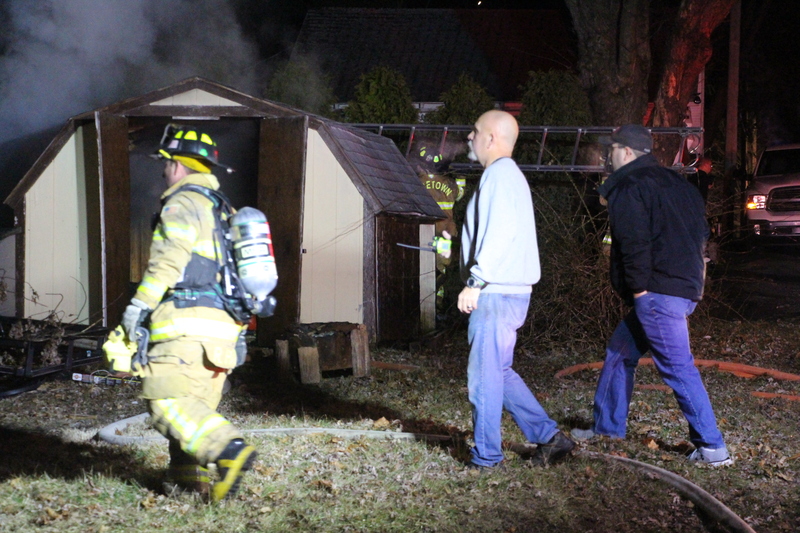 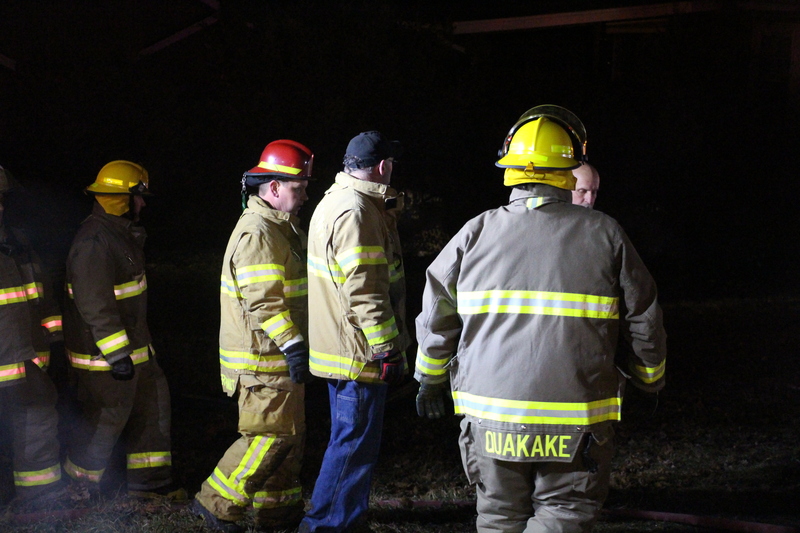 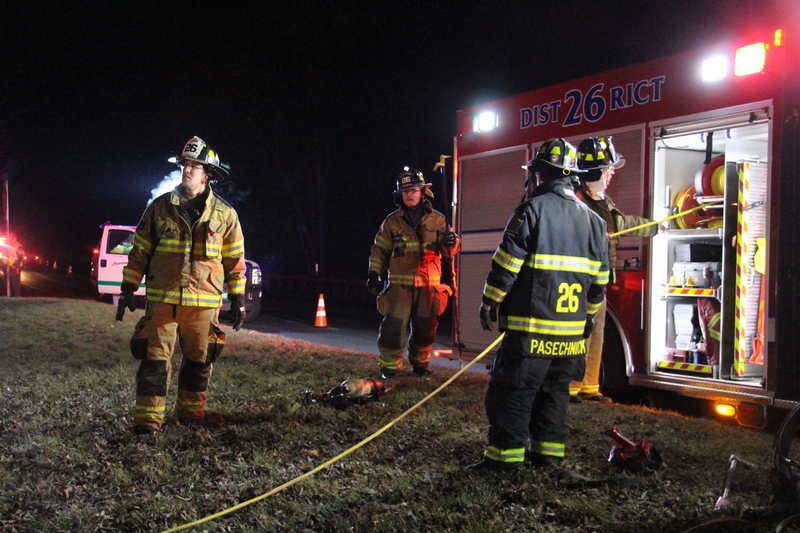 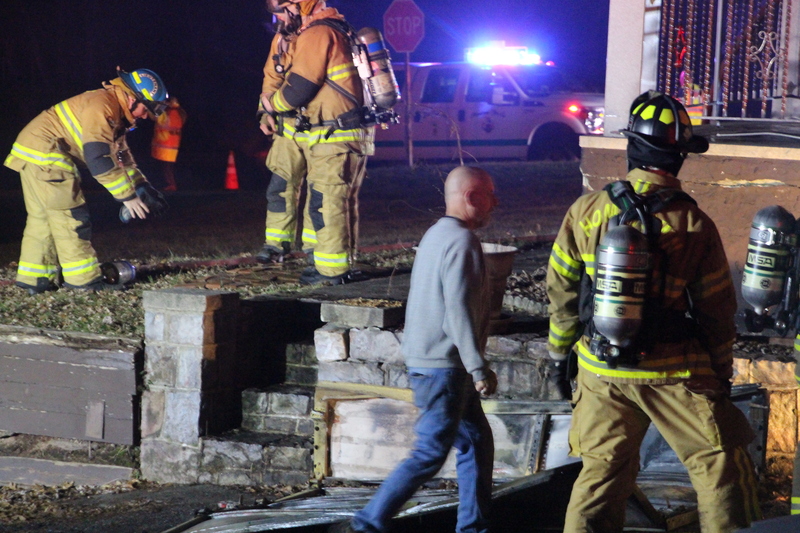 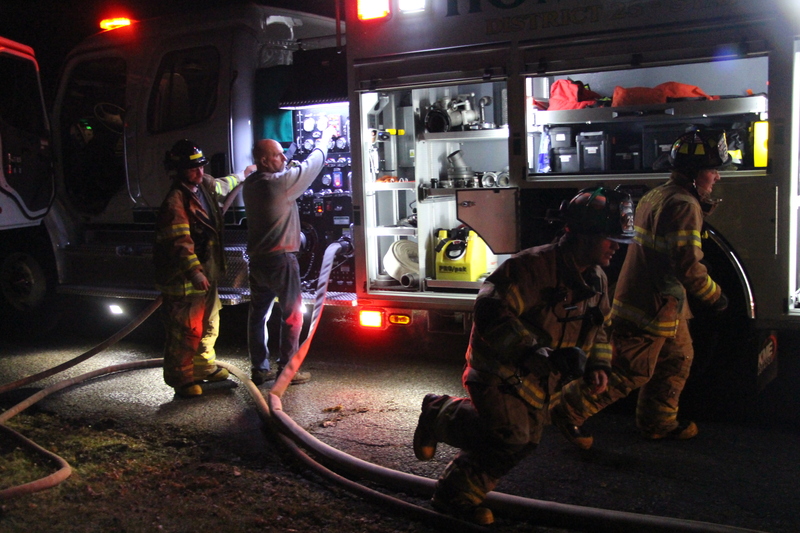 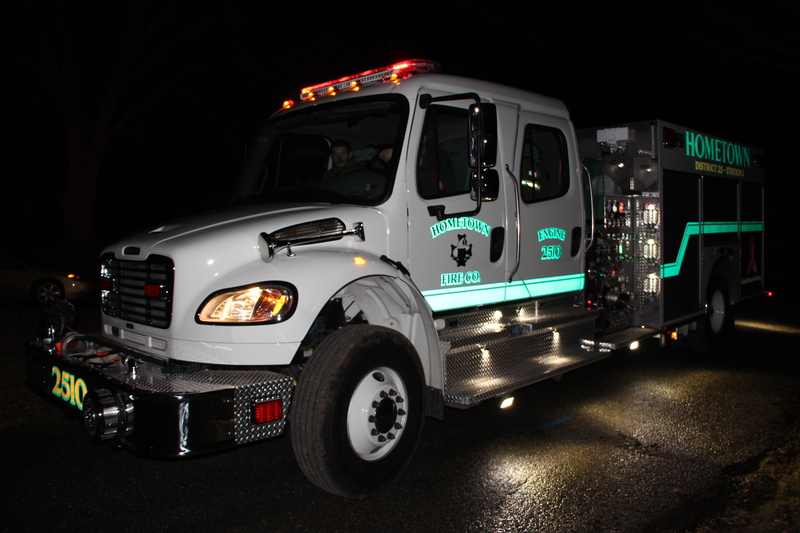 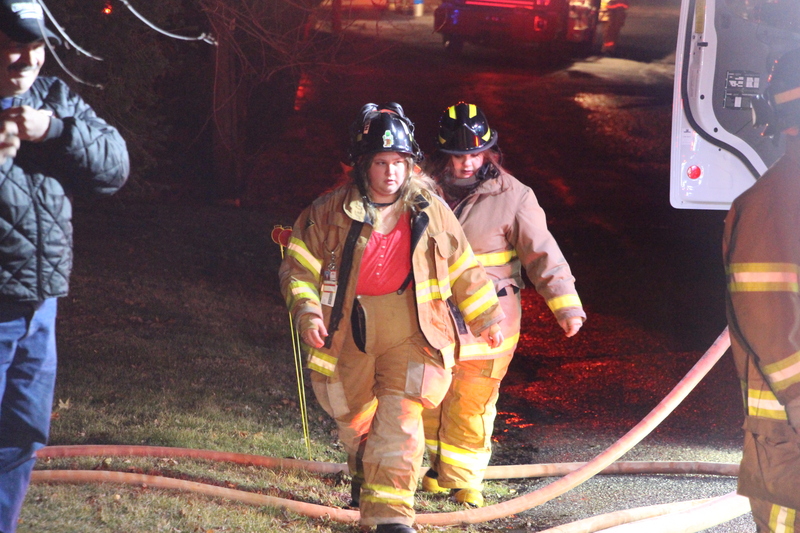 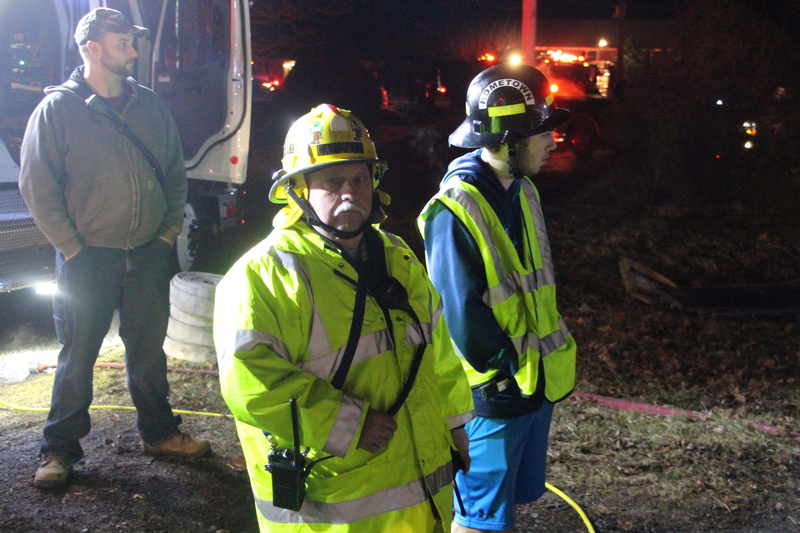 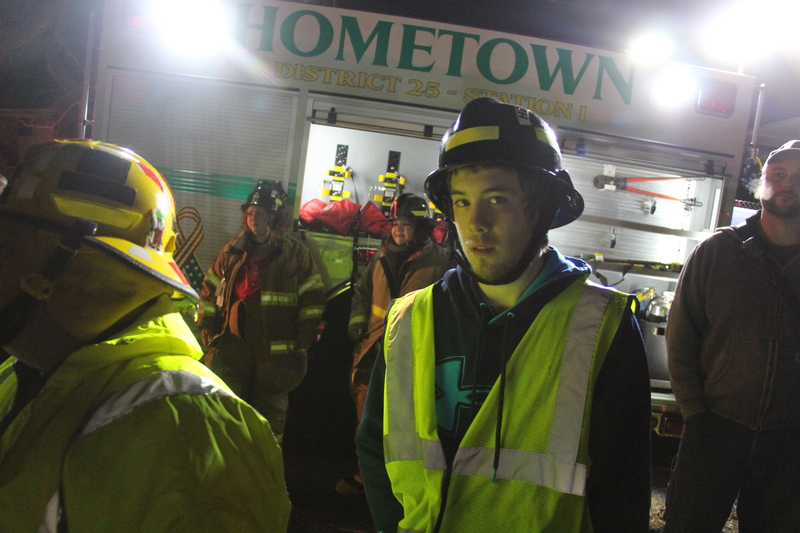 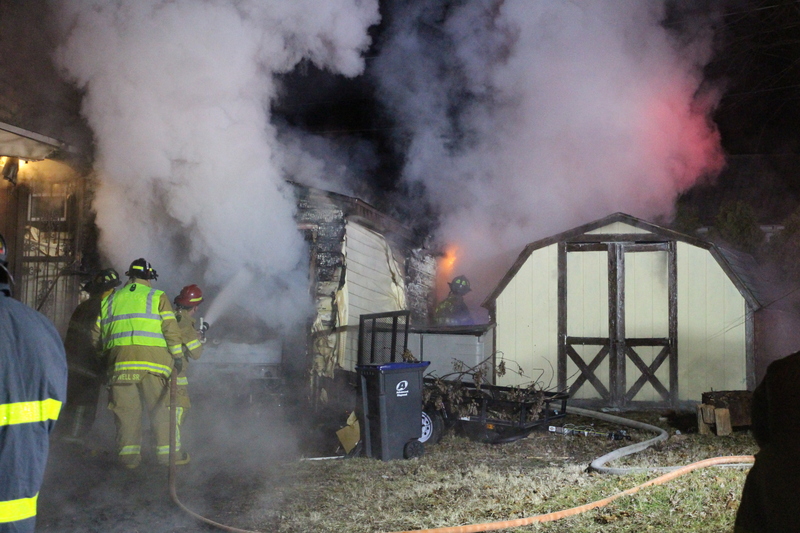 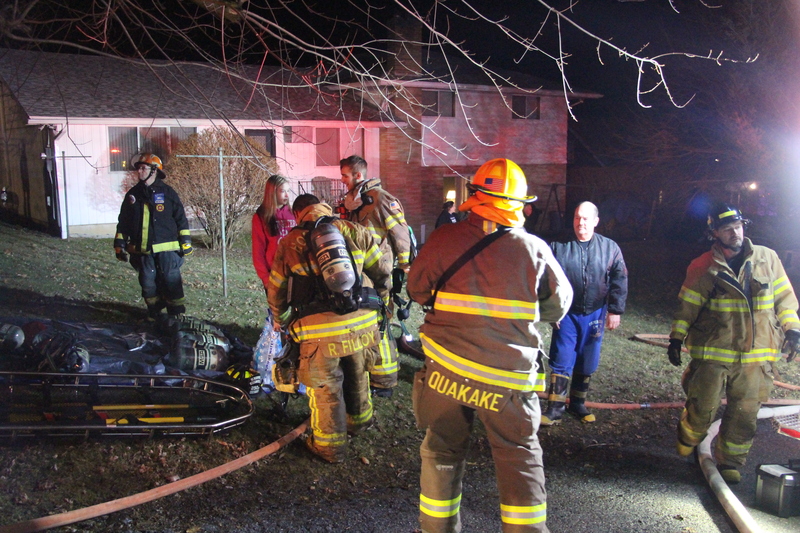 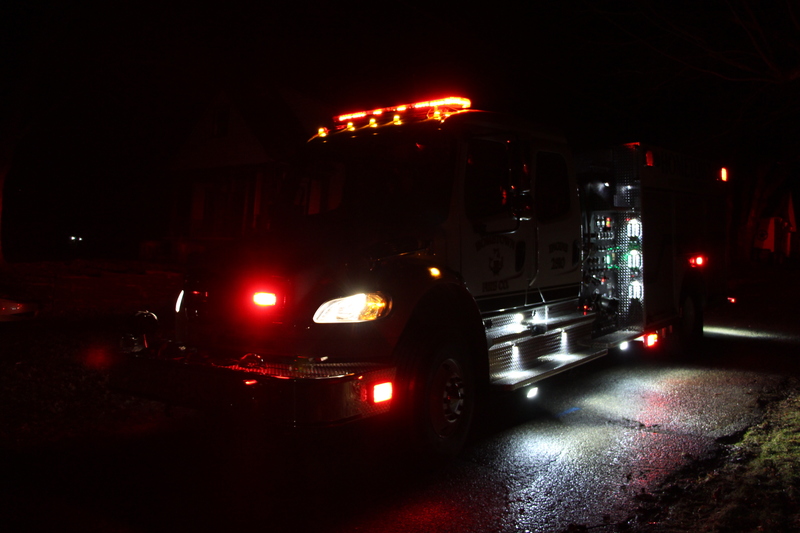 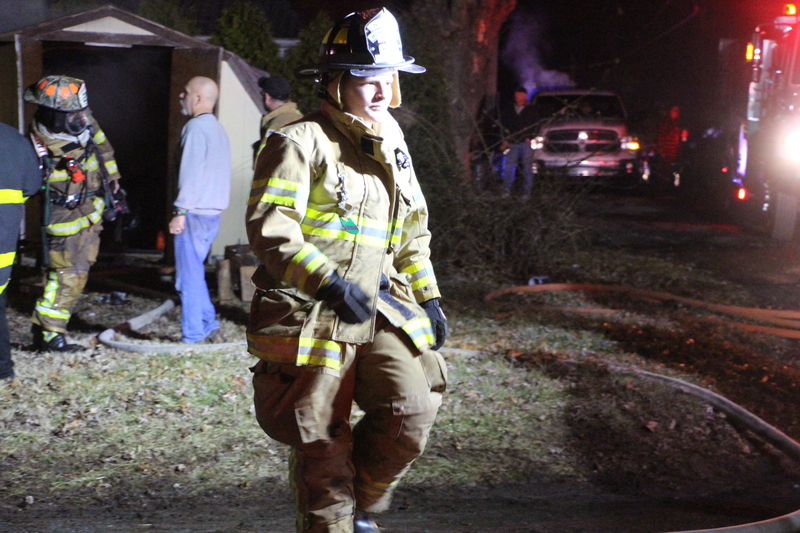 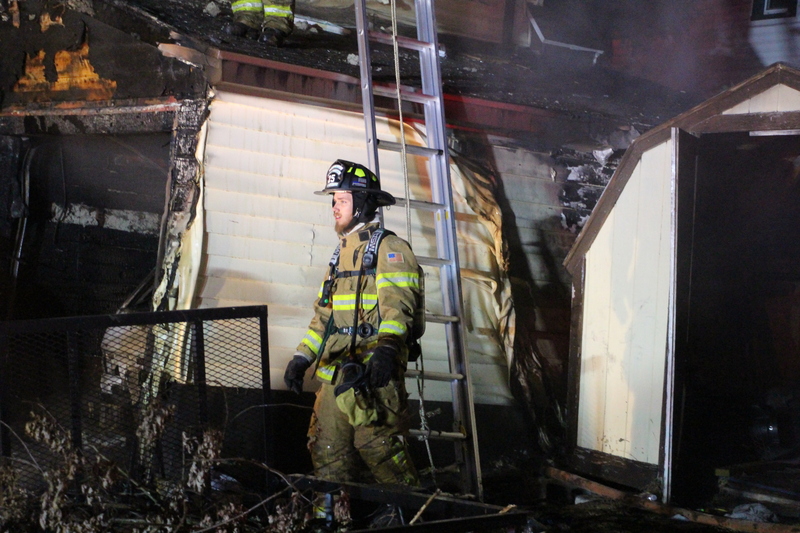 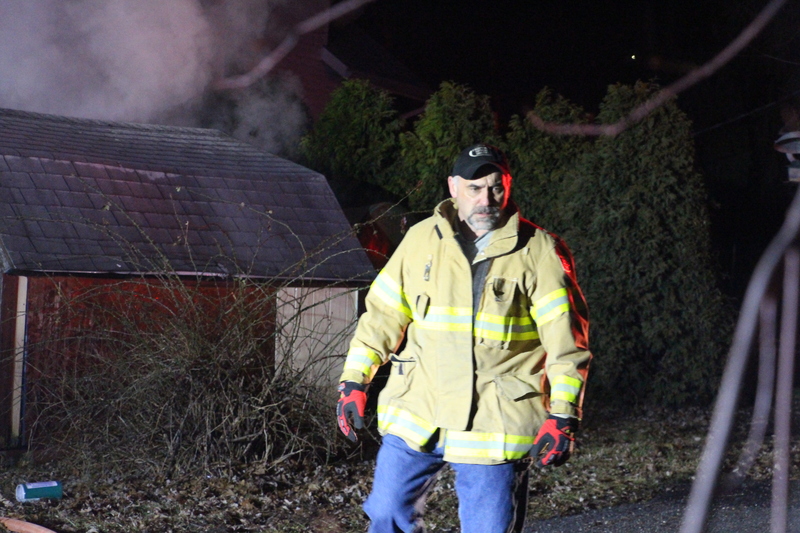 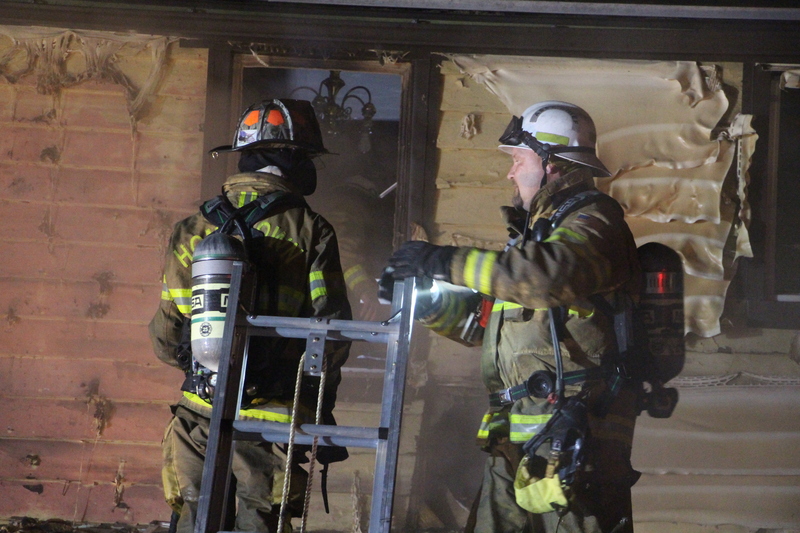 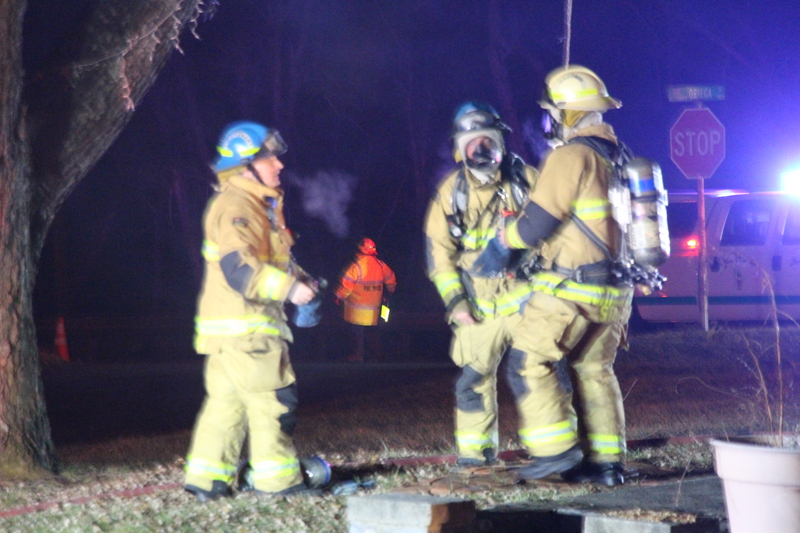 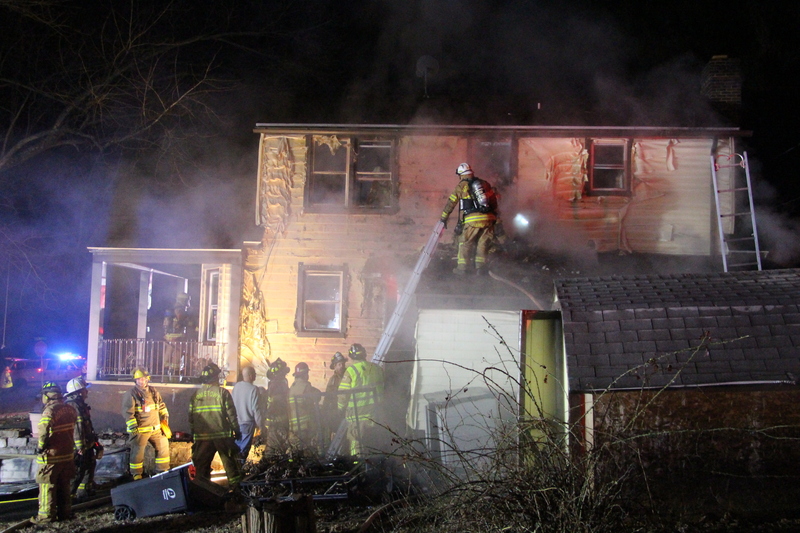 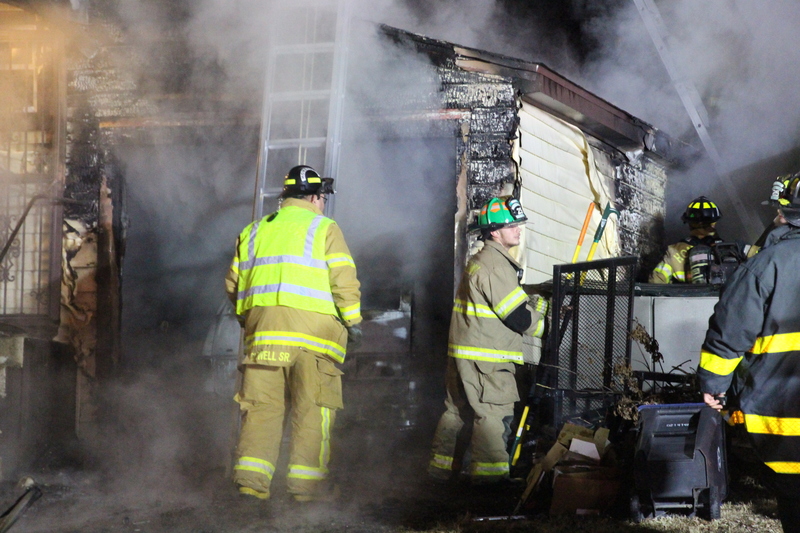 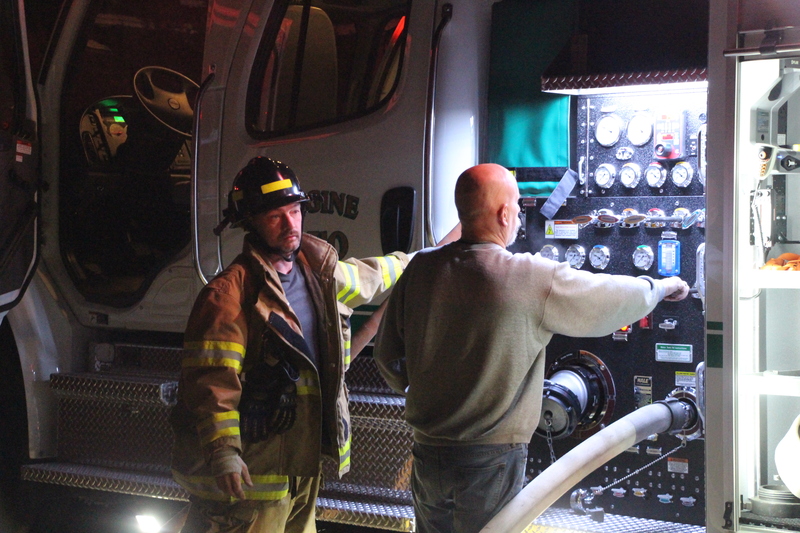 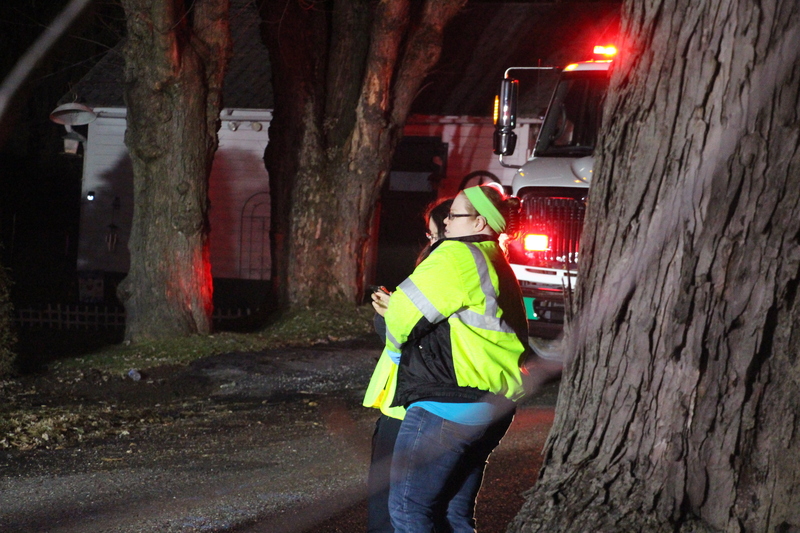 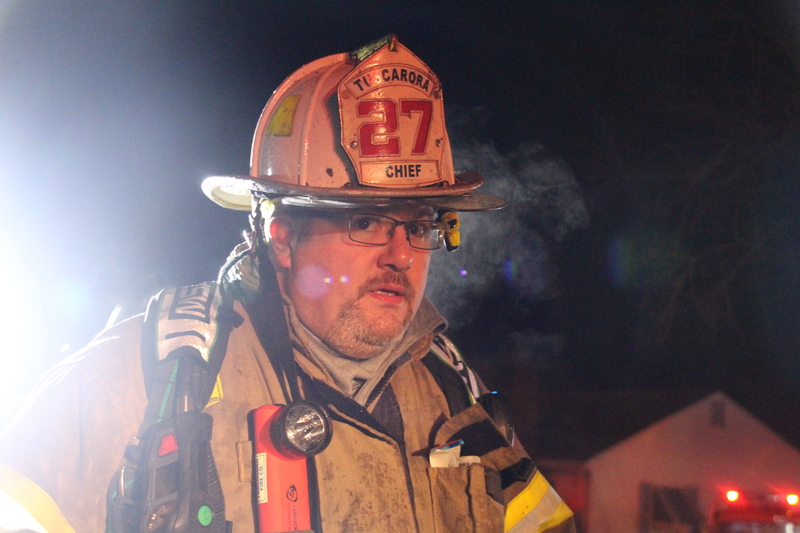 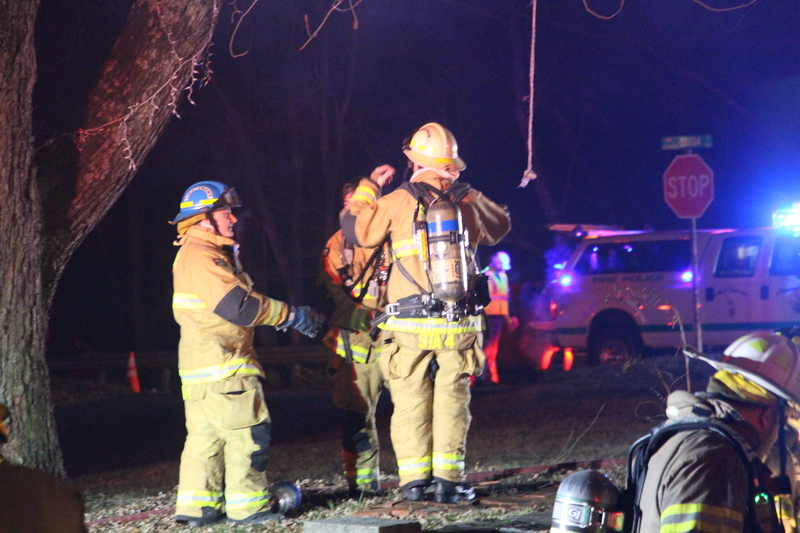 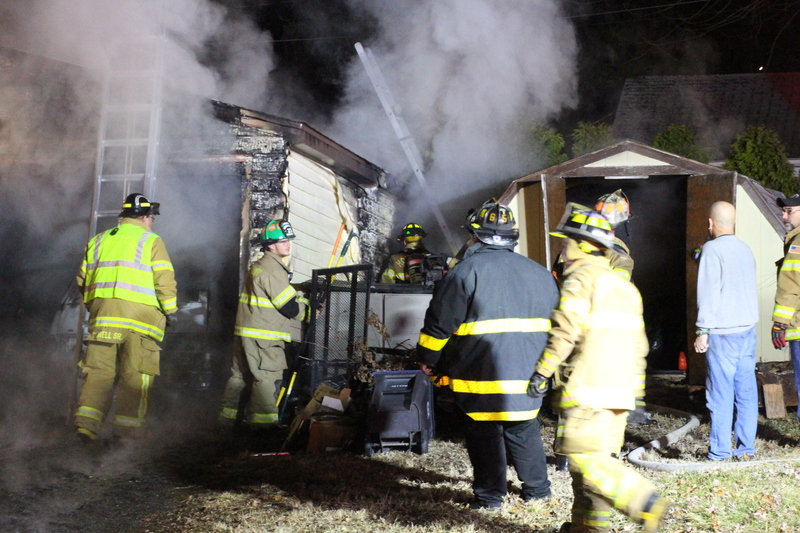 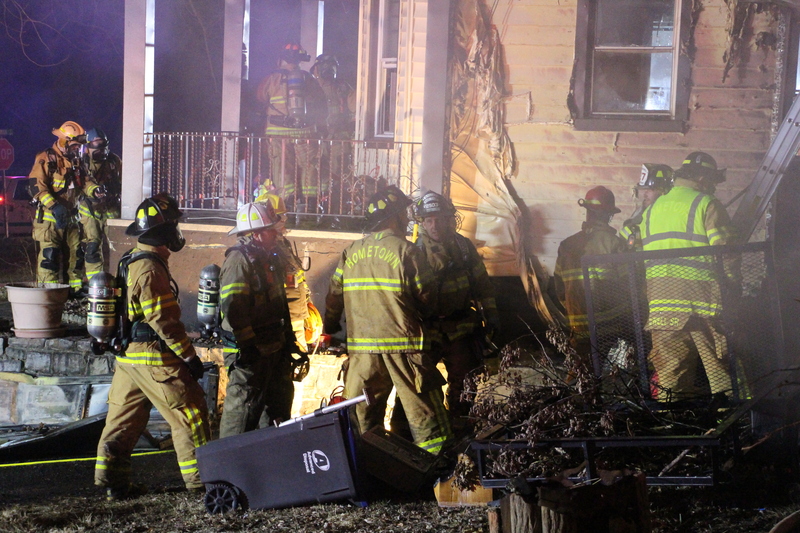 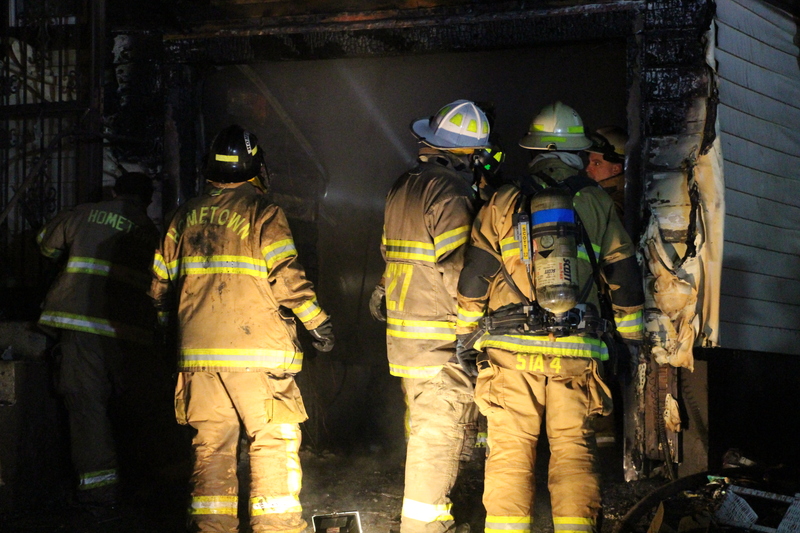 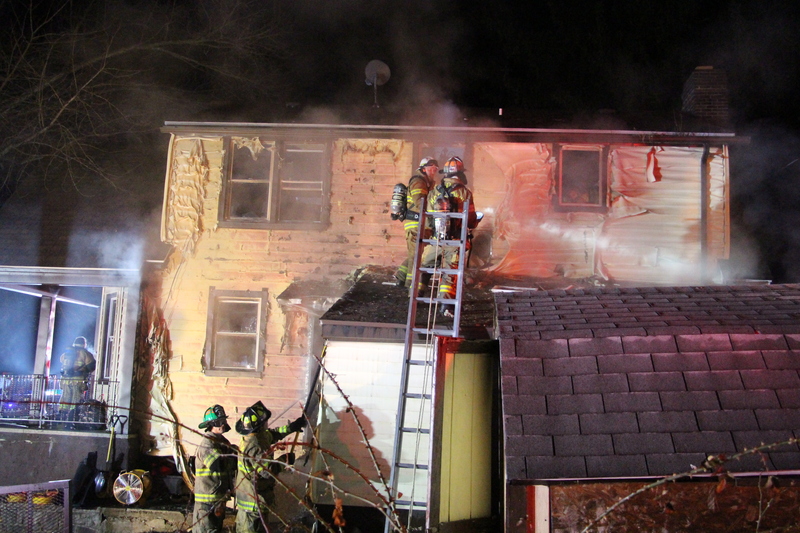 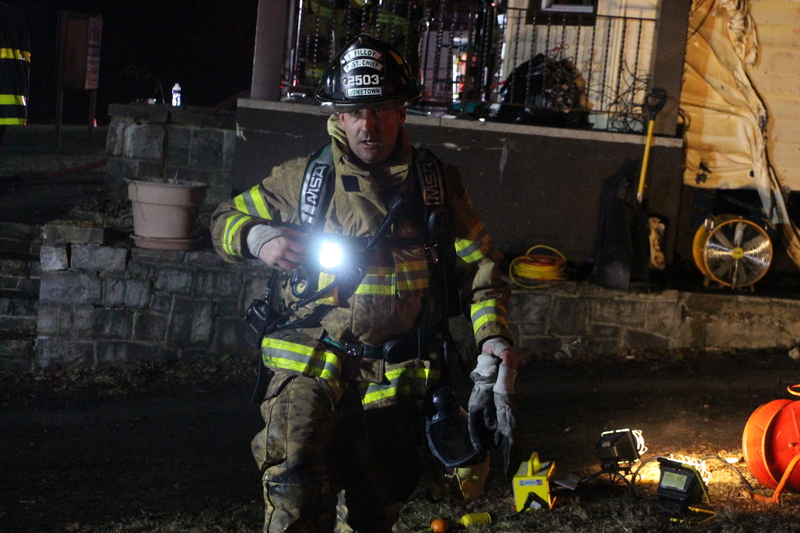 Emergency personnel were dispatched around 8:50 p.m. today to the area of 174 Claremont Avenue (SR309) in Rush Township for a working structure fire. 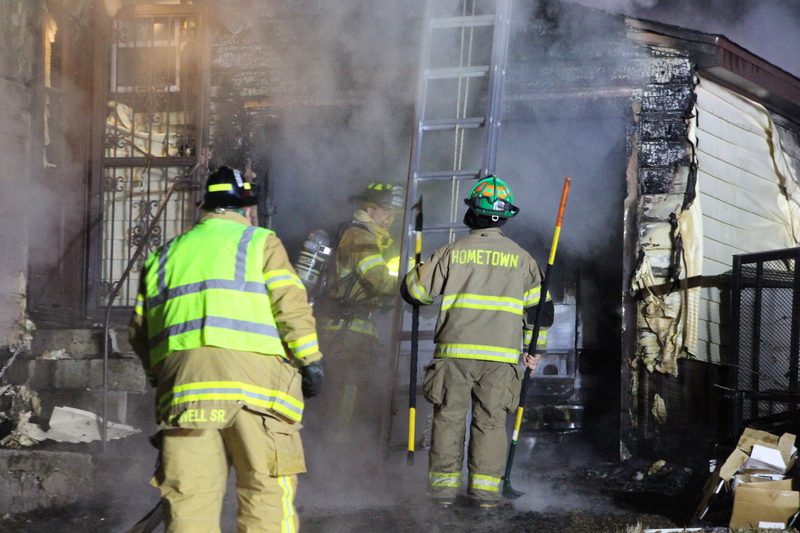 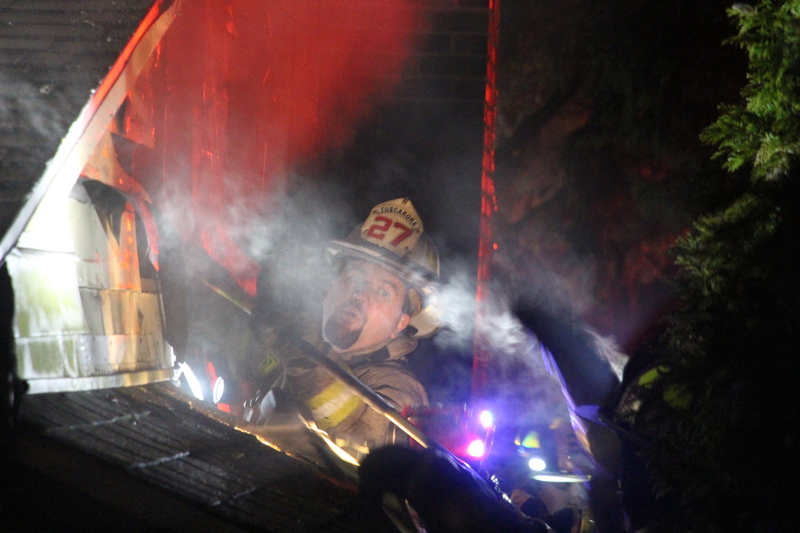 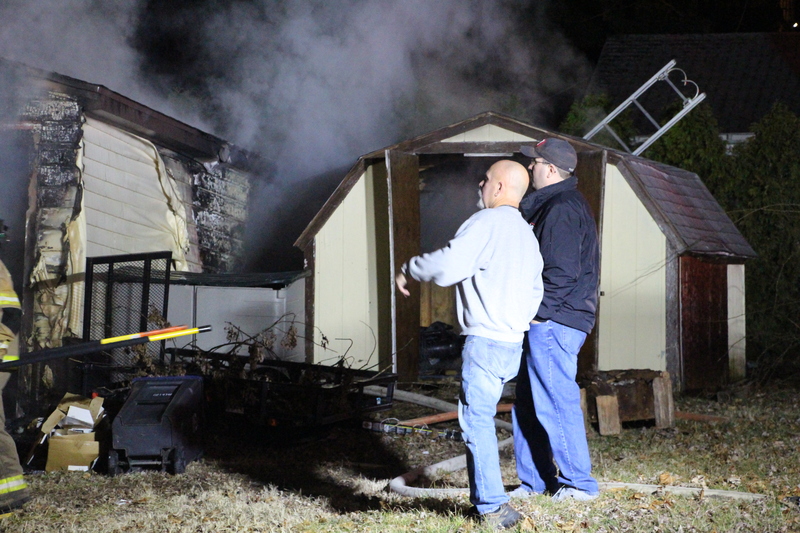 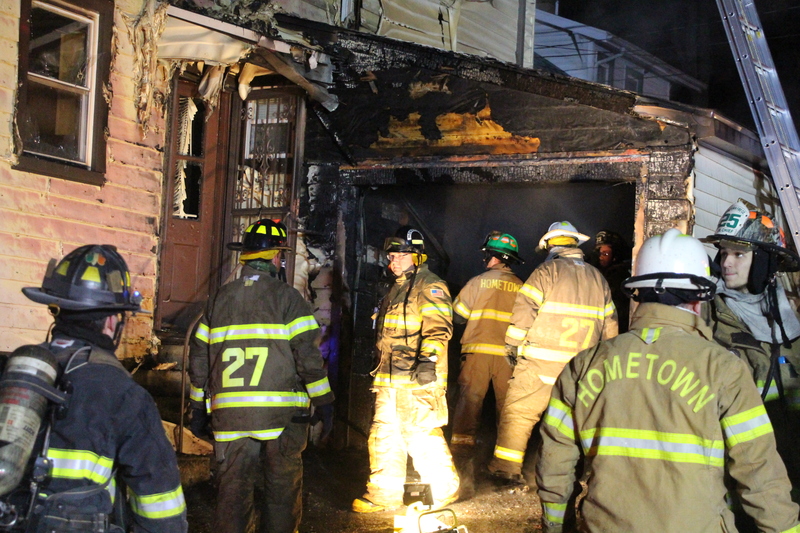 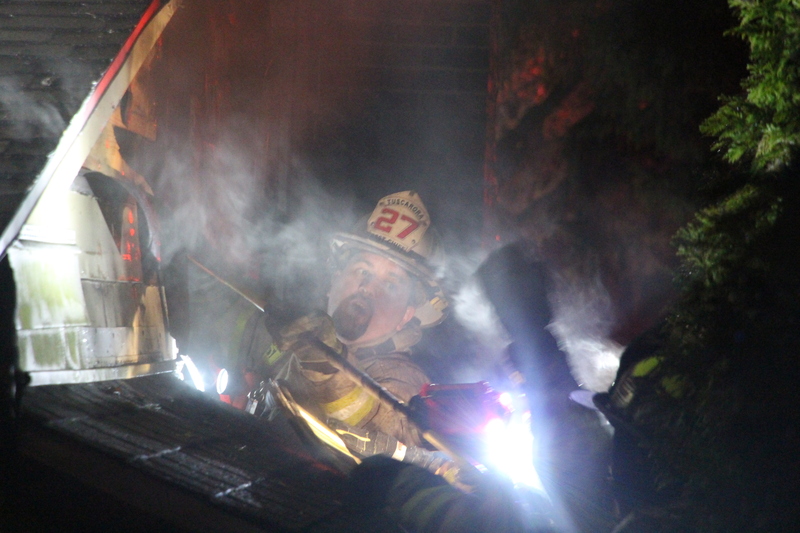 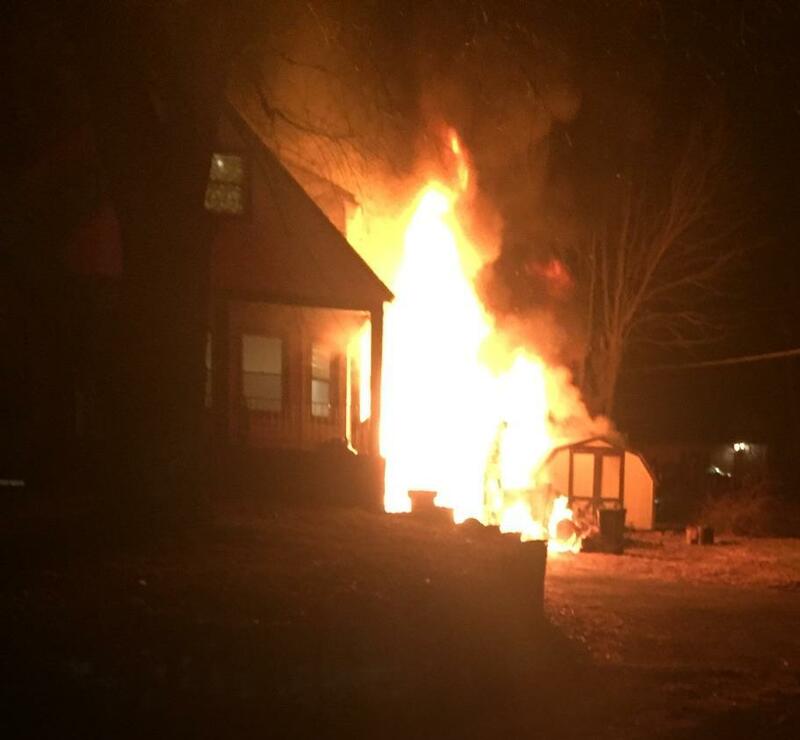 Firefighters from Hometown and surrounding communities arrived to see heavy fire emanating from a garage connected to the home. 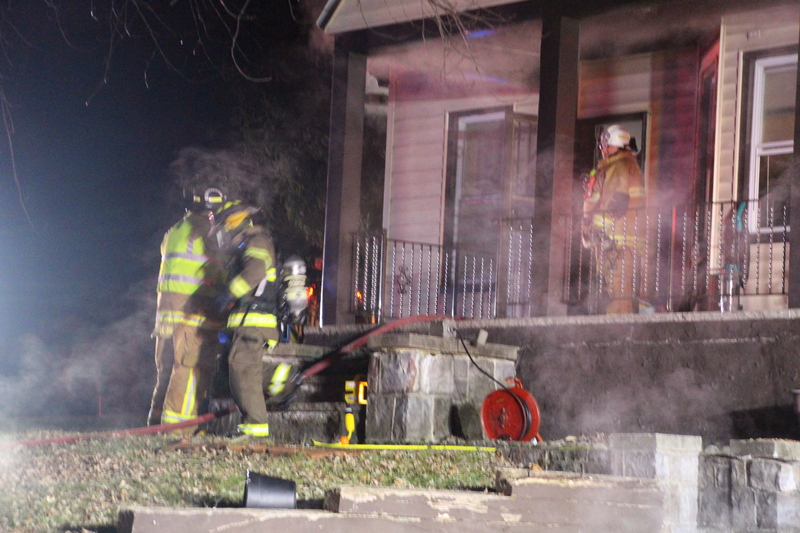 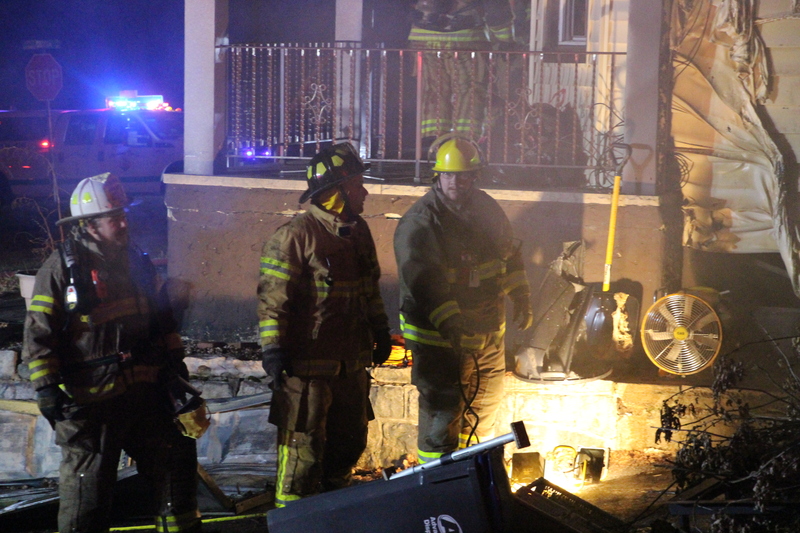 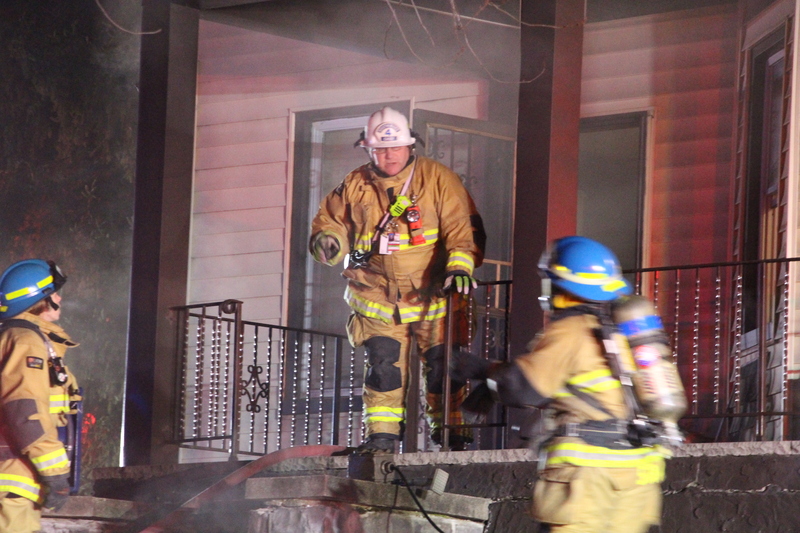 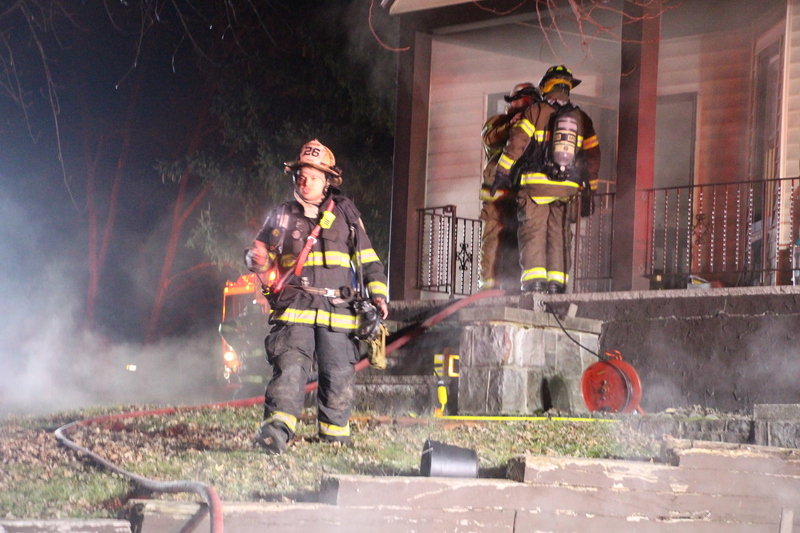 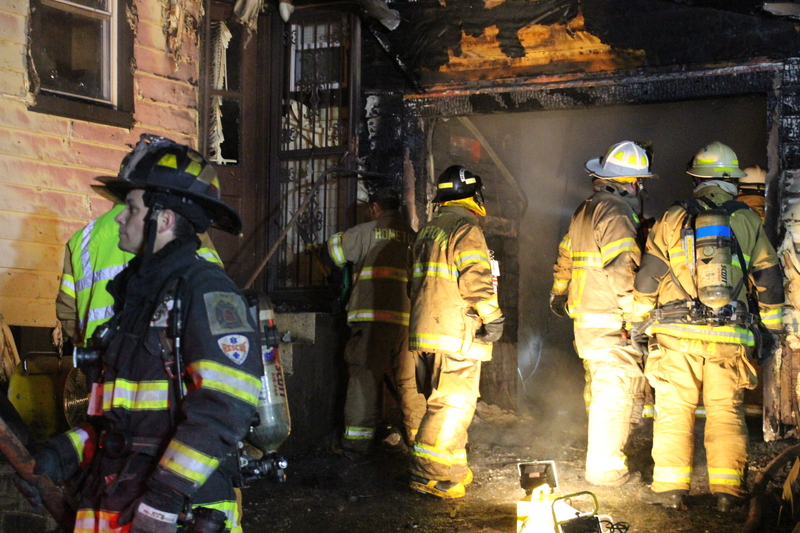 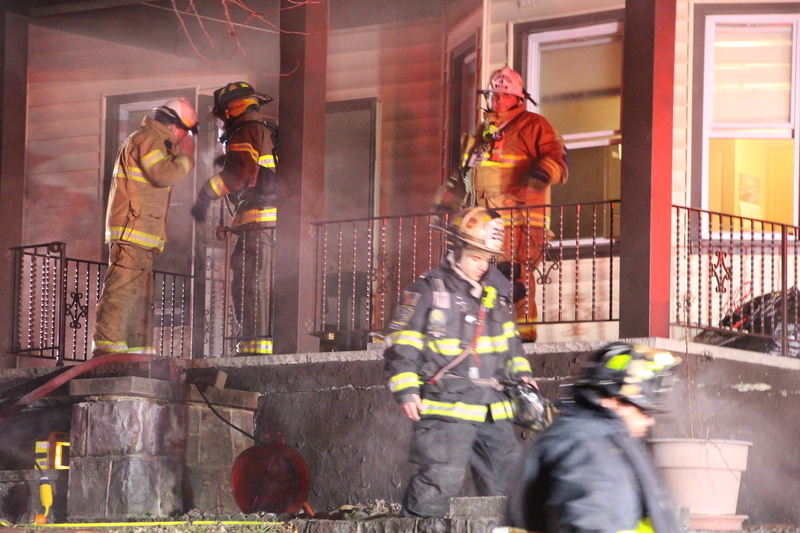 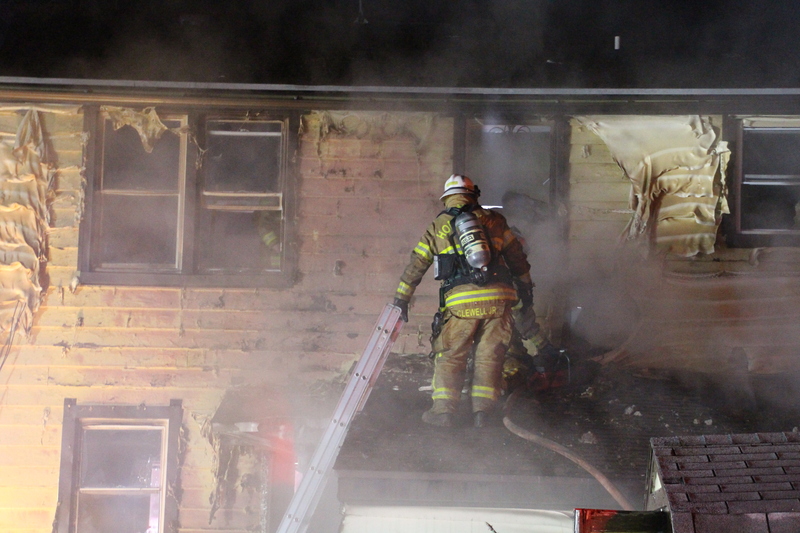 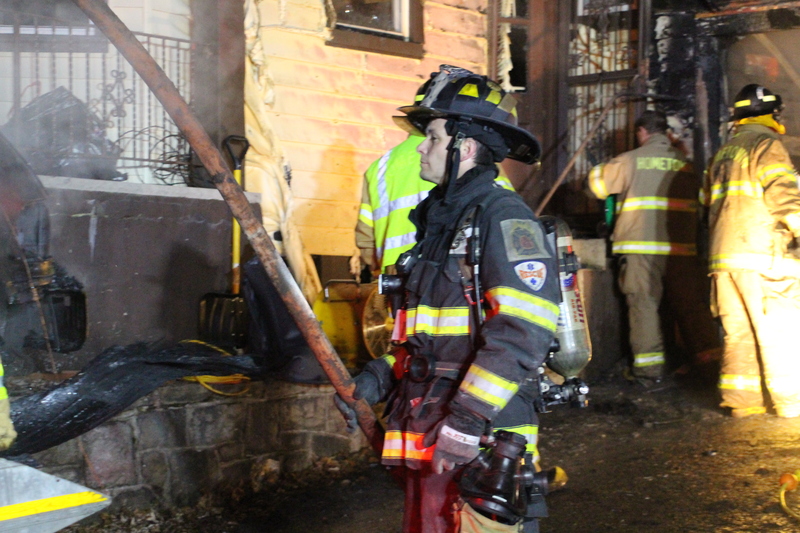 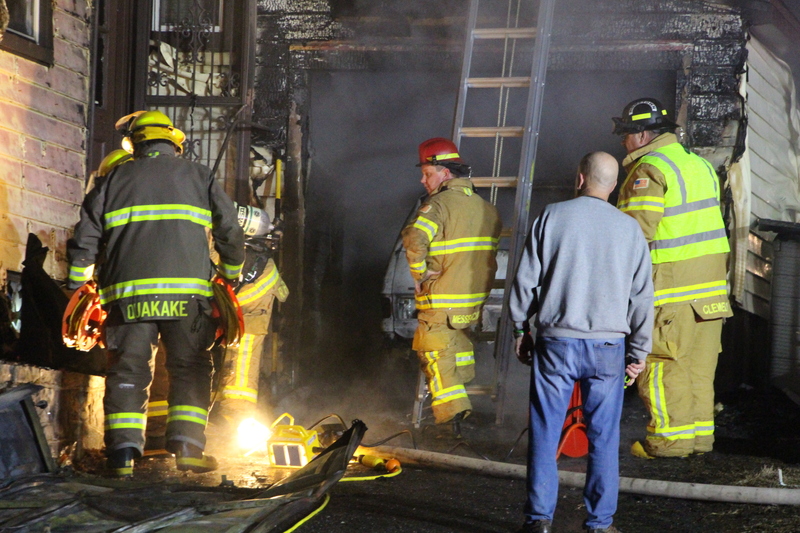 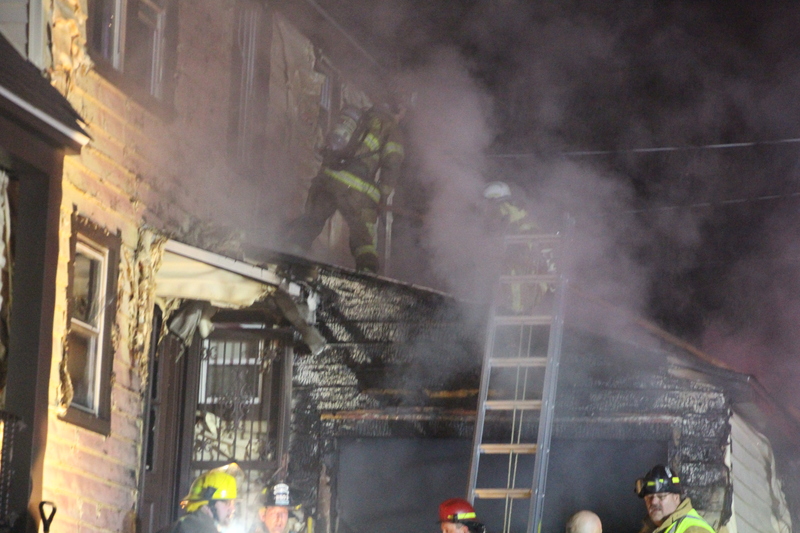 Firefighters worked hard to prevent the heavy flames from spreading into the connected home. 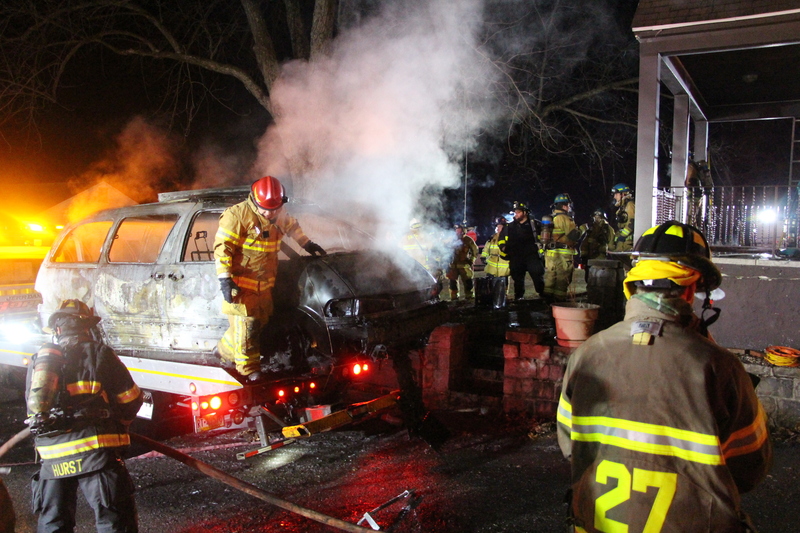 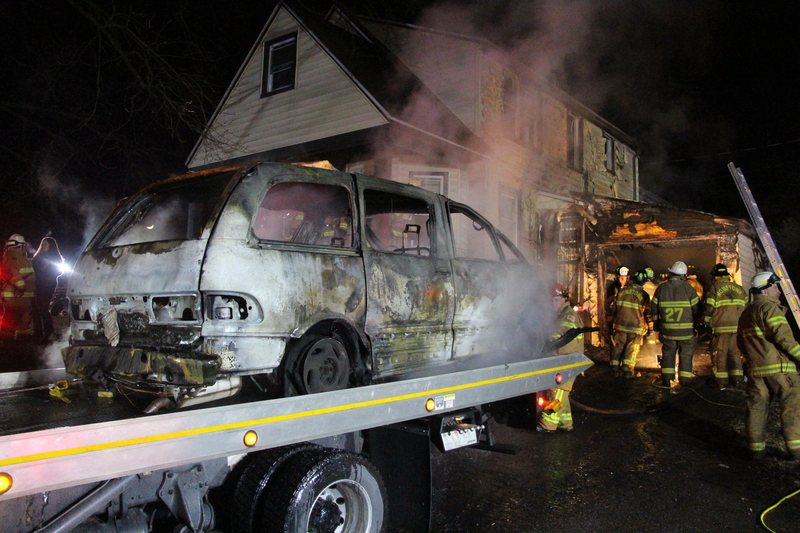 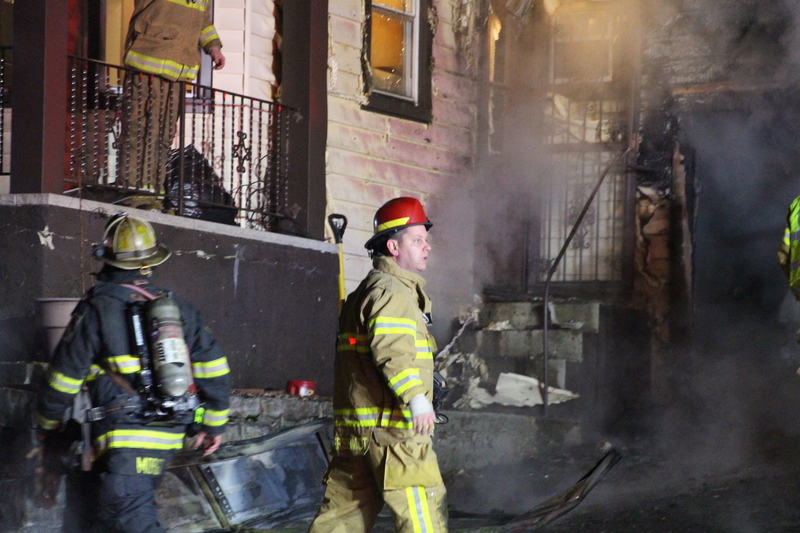 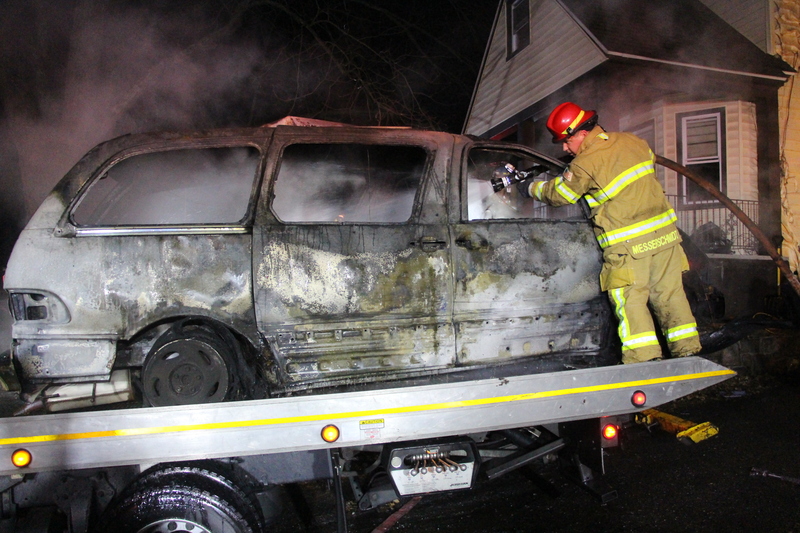 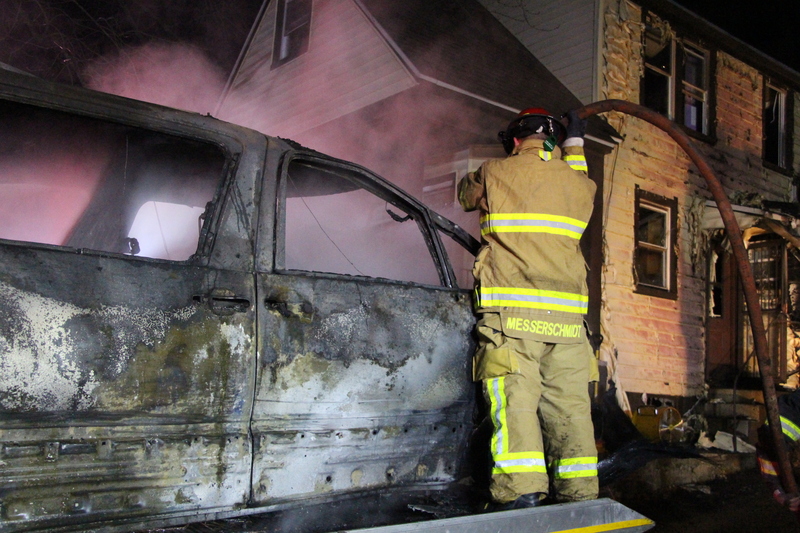 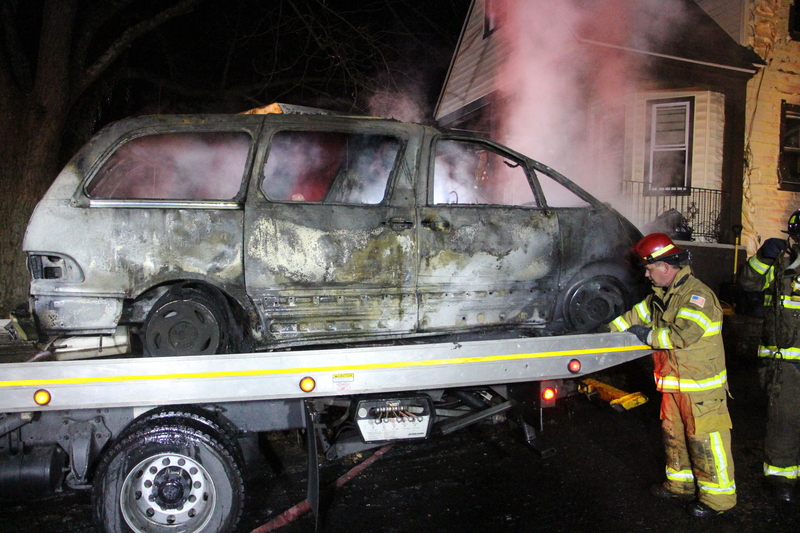 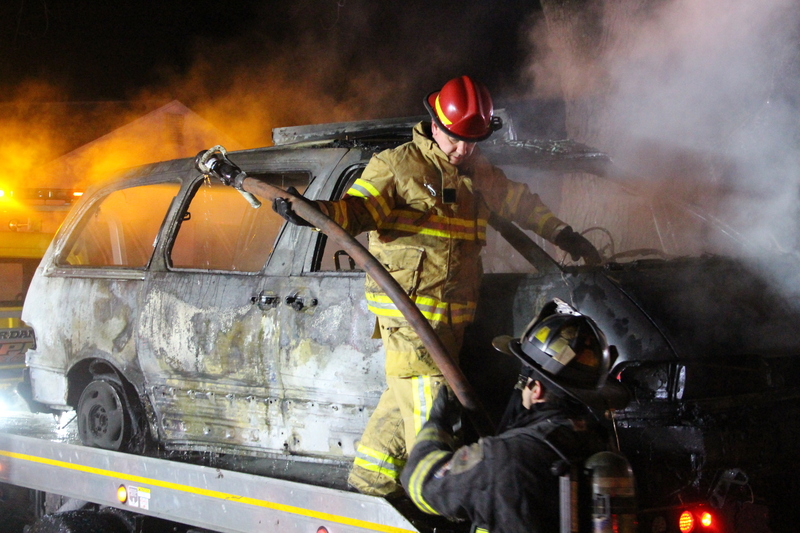 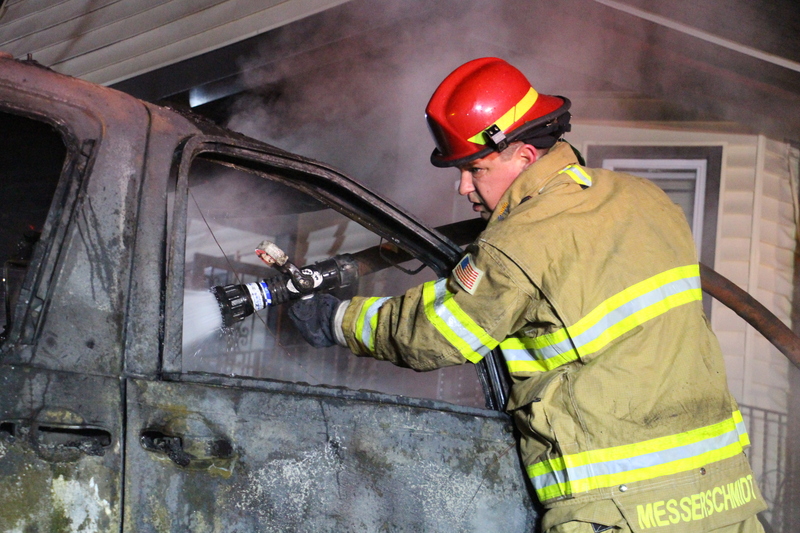 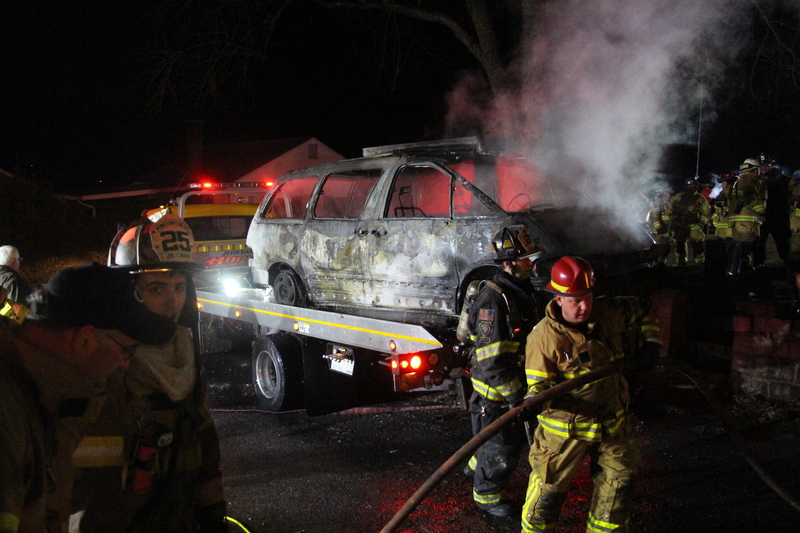 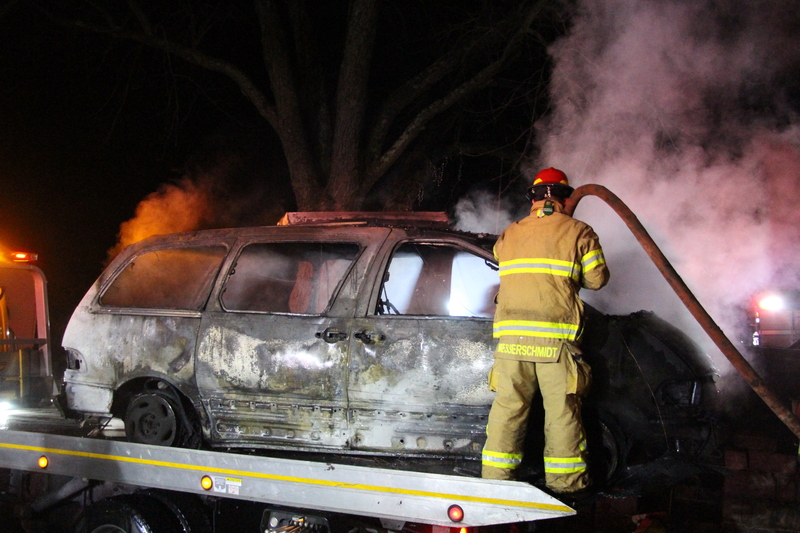 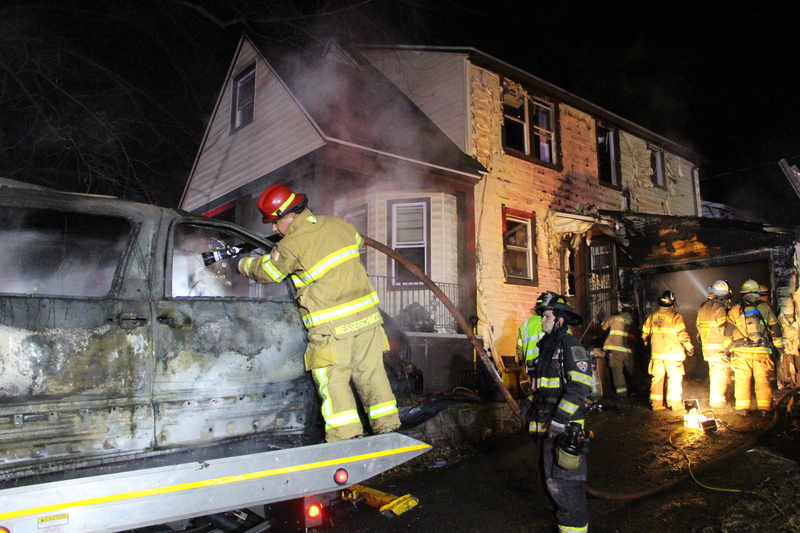 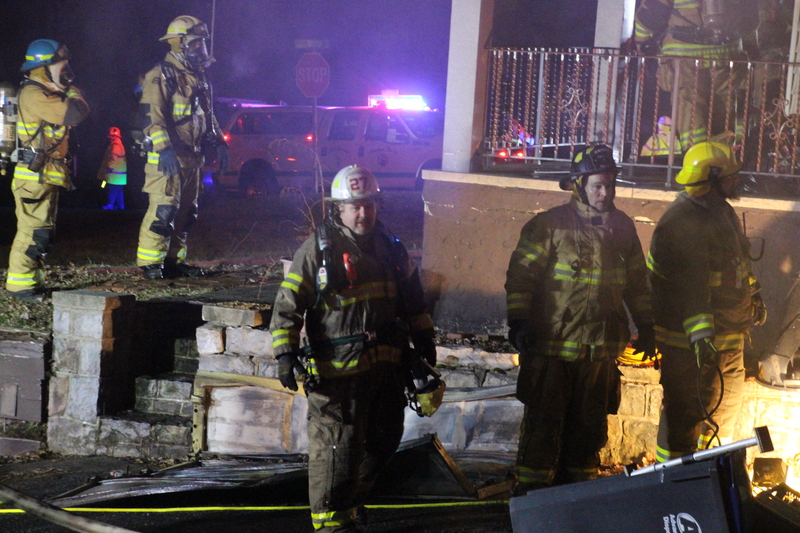 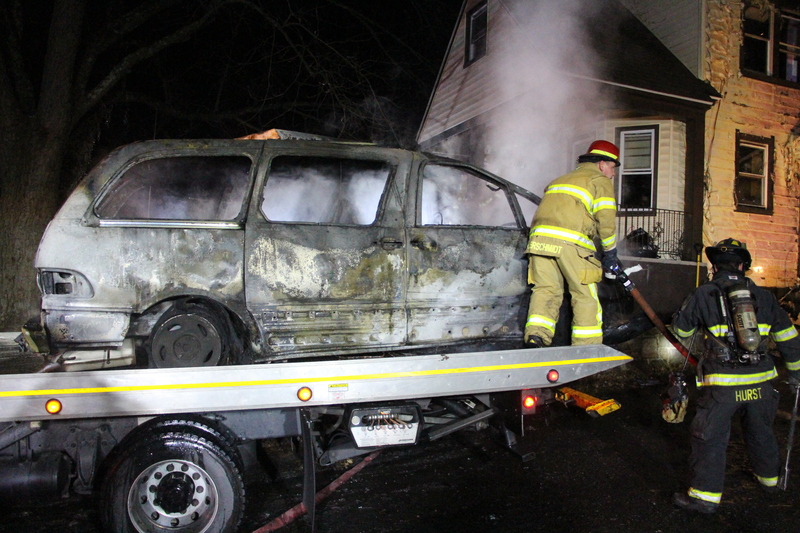 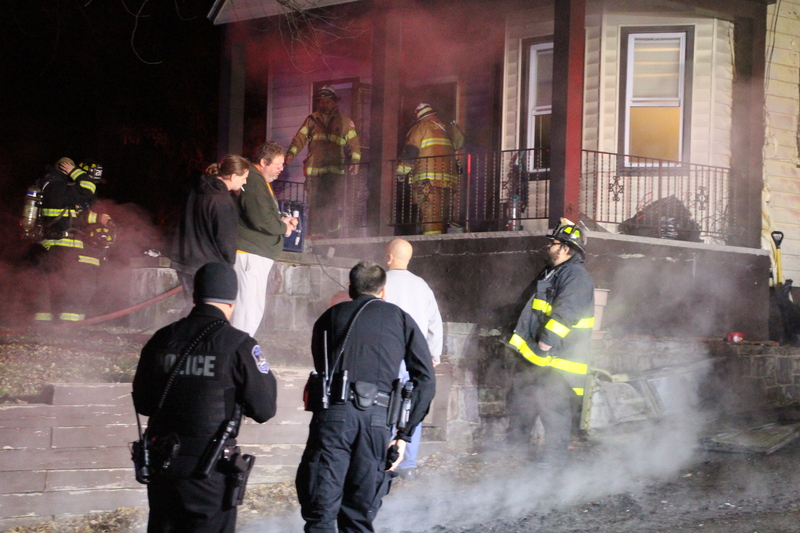 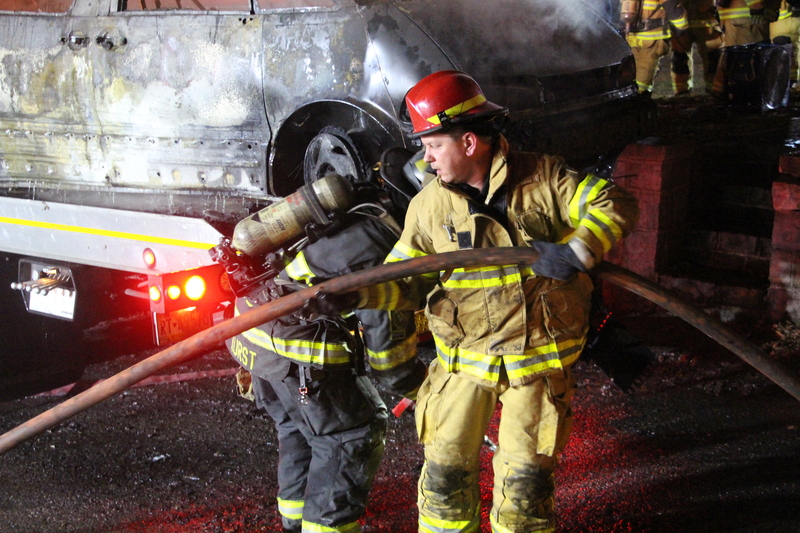 The fire was said to originate from a vehicle parked in the garage. 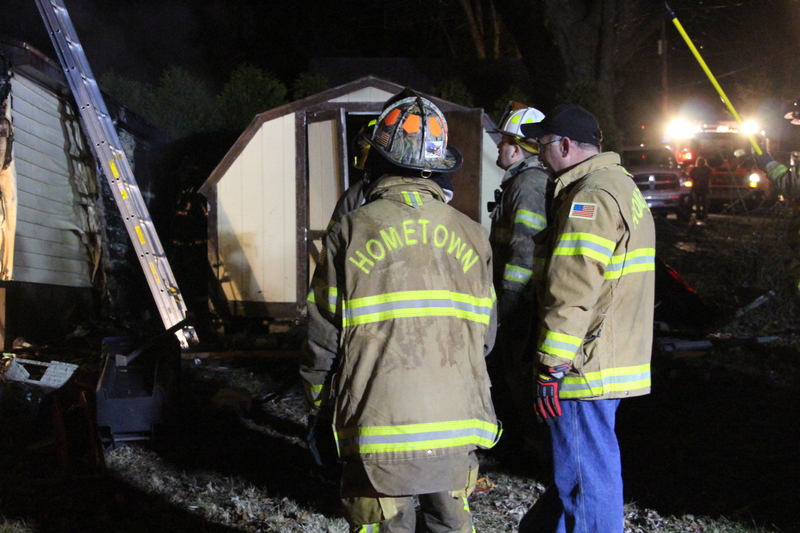 Hope’s Towing was called to remove the vehicle from the garage to allow firefighters to search for hotspots. 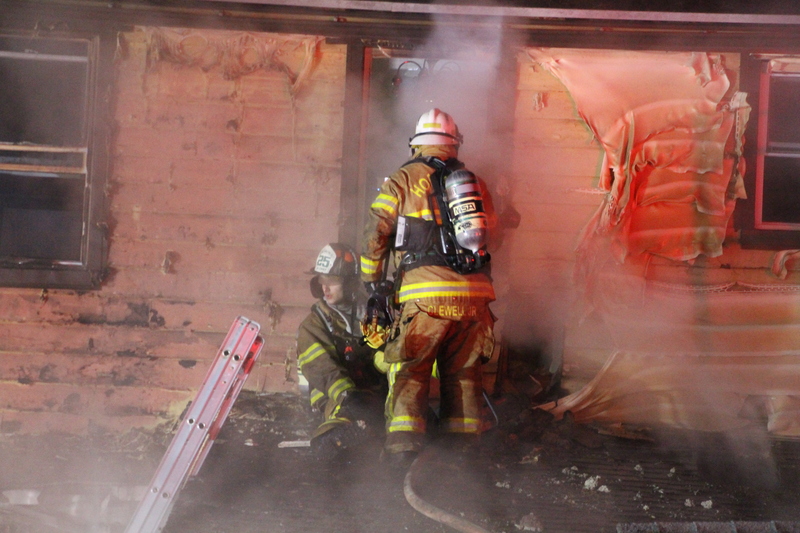 The garage was destroyed, while the home suffered very heavy, but repairable, damage. 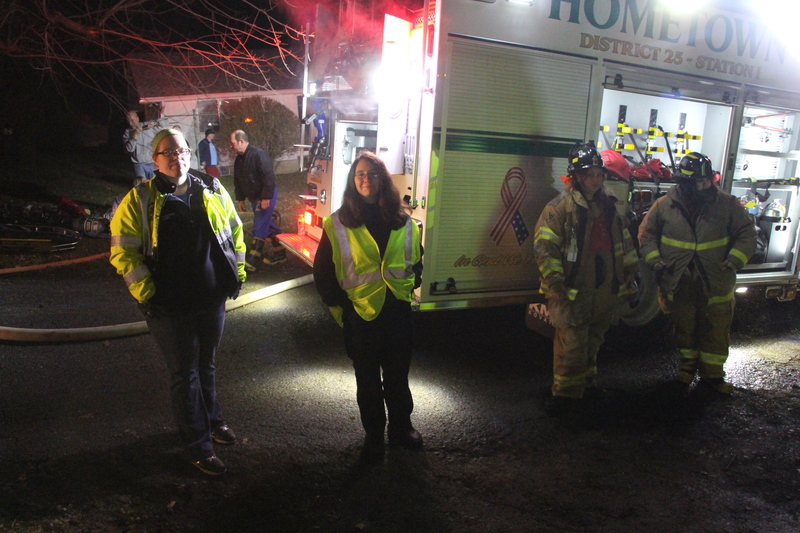 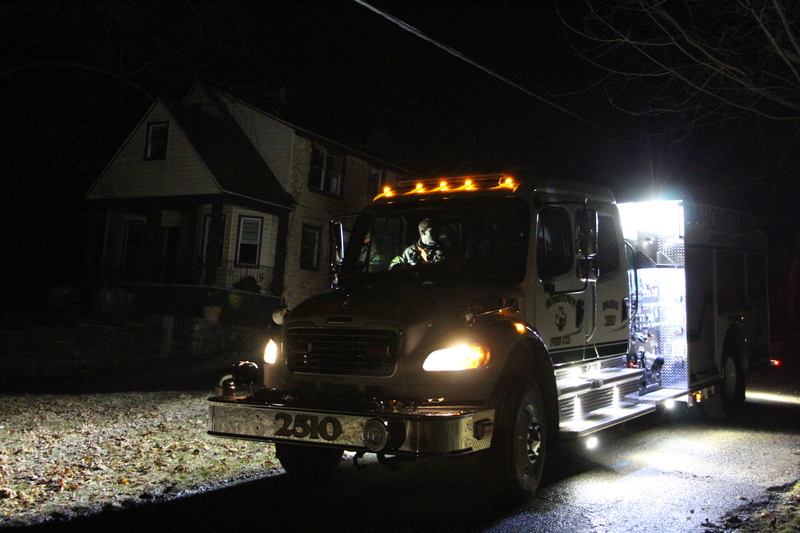 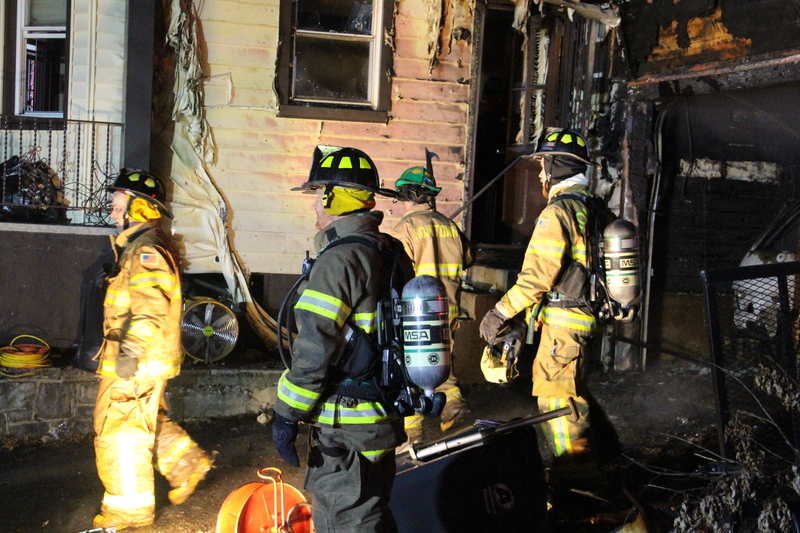 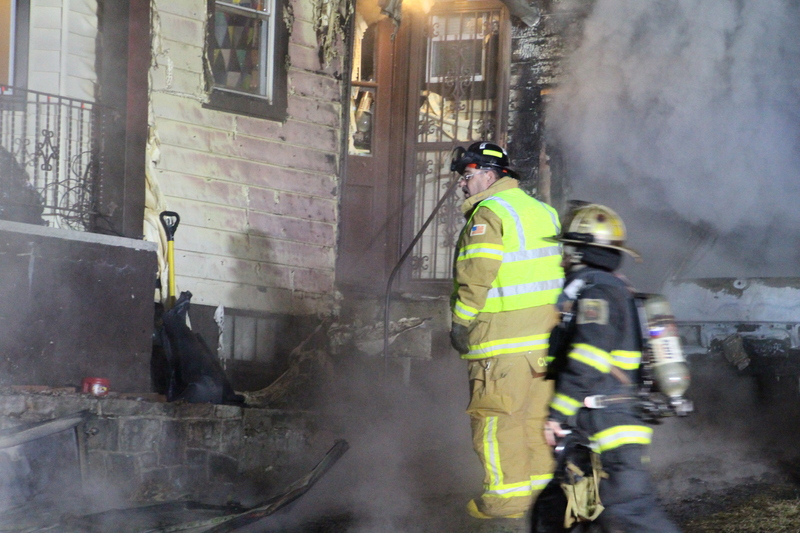 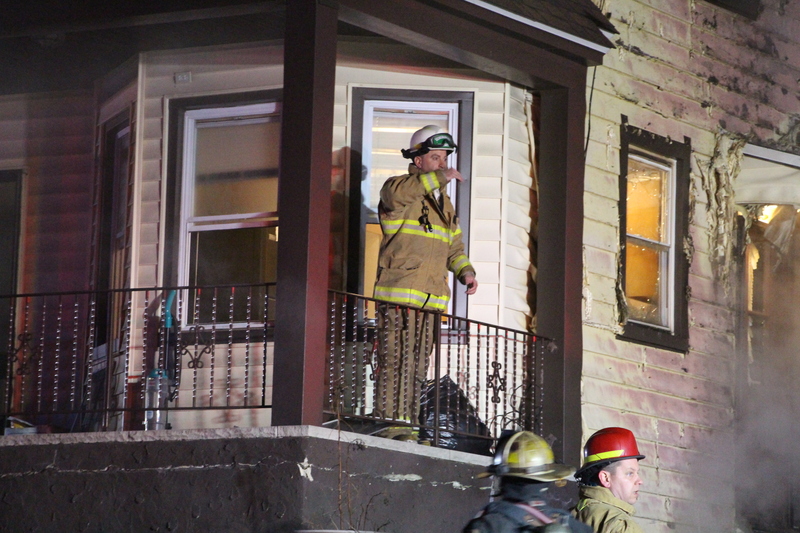 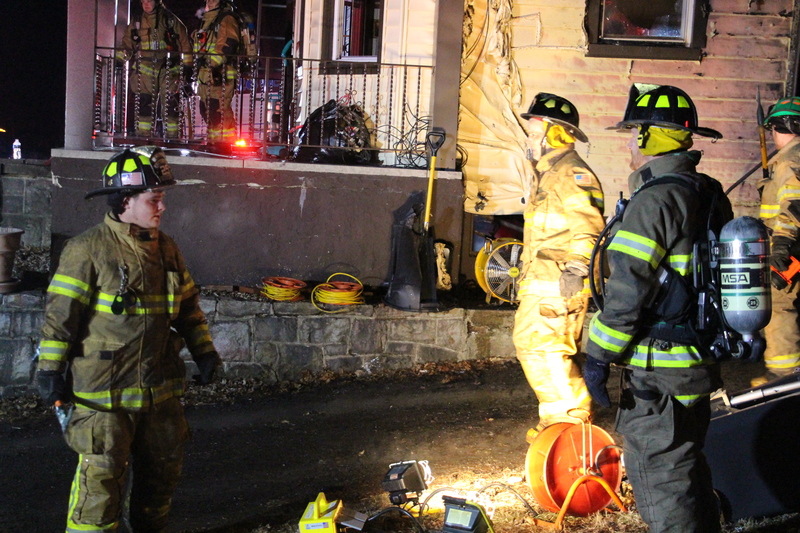 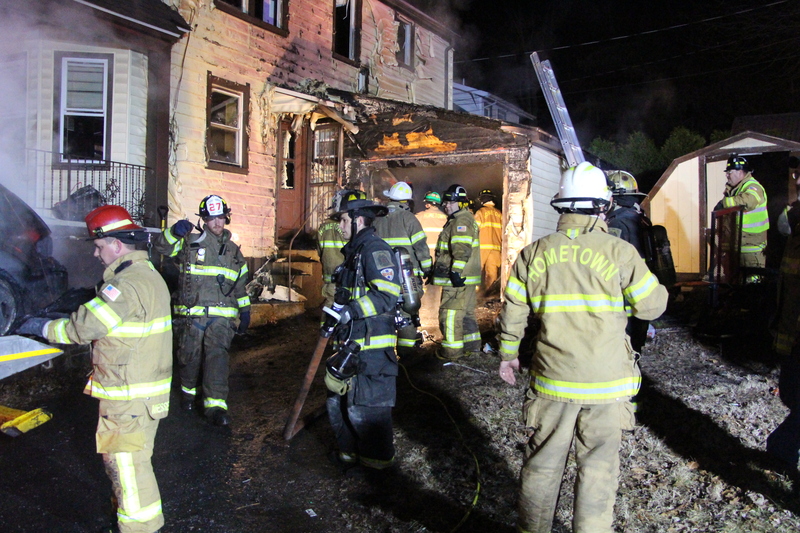 Two adults, who rented the home, and their 9-year-old son, were transported via Tamaqua Salvation Army to a family member’s home in Jim Thorpe. 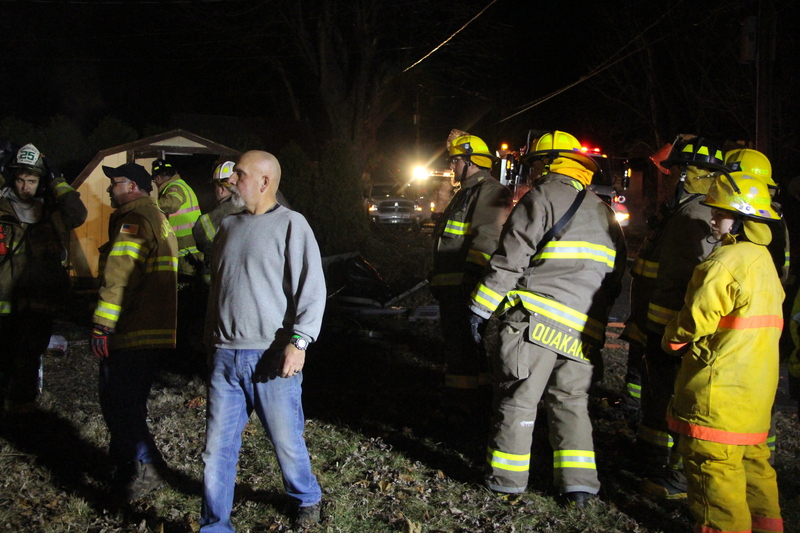 The landlord arrived on scene and offered his support to the family, as well as providing them another place to live during repairs. 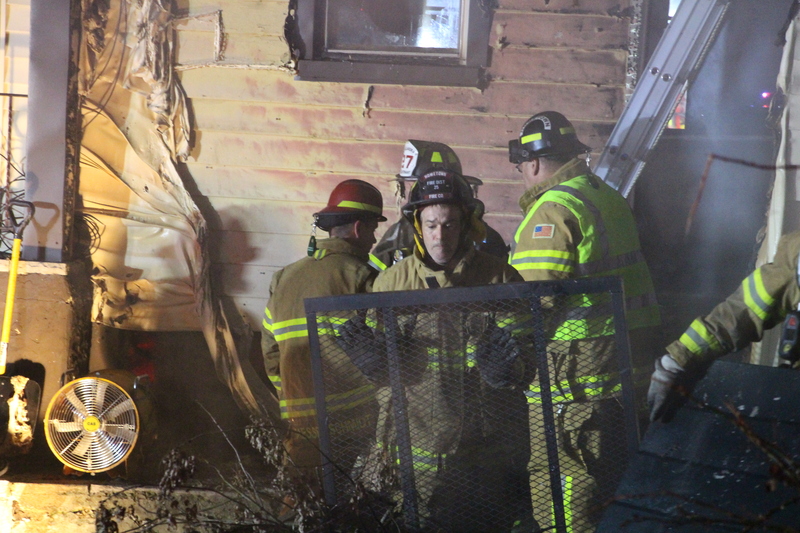 The home was insured. 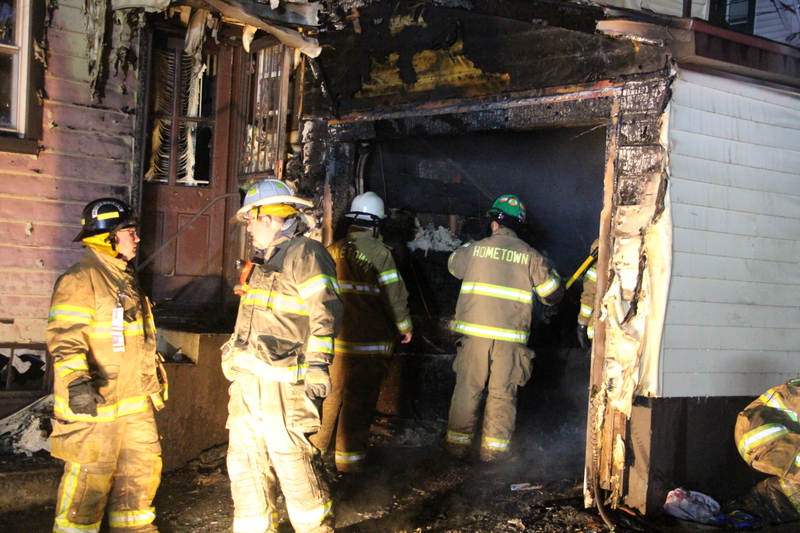 The family didn’t have renters insurance. 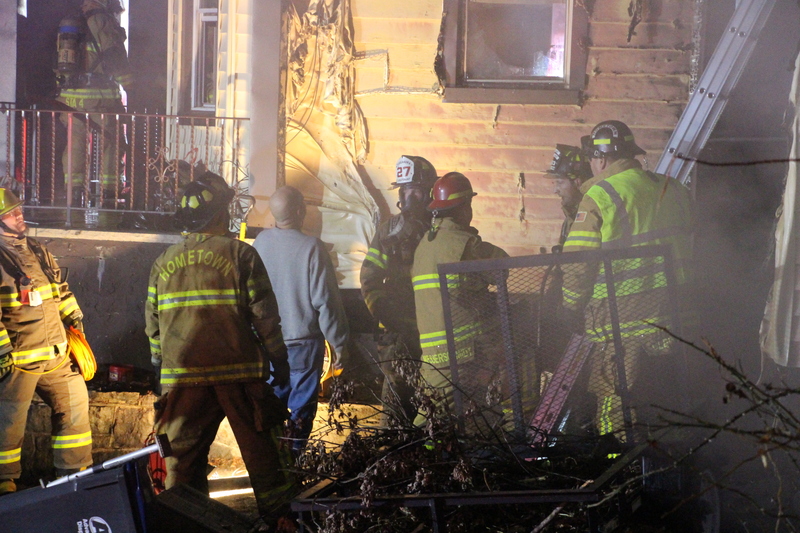 Stay tuned for possible ways to help the family. 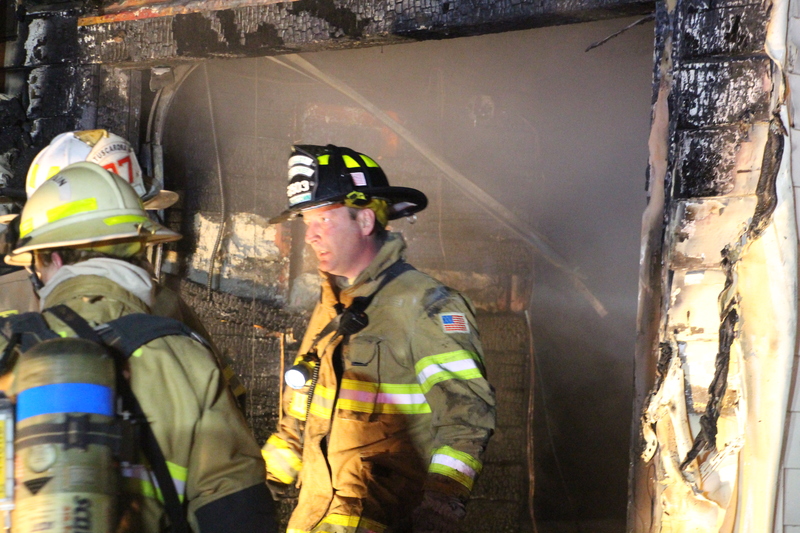 Click HERE to view photos on the TamaquaArea.com Forum Facebook page.